"HOUSE ON BALI” IS AN OLD HOUSE IN WARSAW. LEITMOTIV OF THIS INTERIOR WAS BALI - THE BELOVED PLACE OF THE IWONA AND PIOTR. THEY LOVE NATURAL ELEMENTS IN THE INTERIOR, THAT IS WHY THEY HAVE BROUGHT MANY ACCENTS DIRECTLY FROM BALI . THESE HAVE BEAUTIFULLY DECORATED THE SPACE. THERE ARE MANY ACCENTS LIKE SEA GRASS, YUTA AND WOOD. THE COLORS HAVE BEEN PURELY NATURAL LIKE EARTH FLAVORS AND SUN BURNT GREEN. 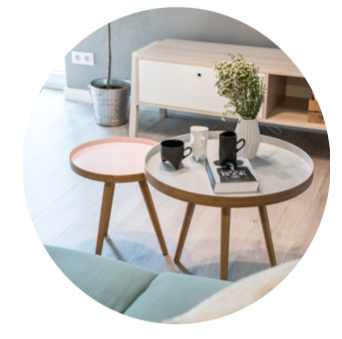 THE LAYOUT OF THE LIVING ROOM IS OPEN WITH A HUGE CORNER SOFA AND COMFORTABLE ARMCHAIRS, SO THAT EVERY FAMILY MEMBER COULD FIND A COZY SPOT. 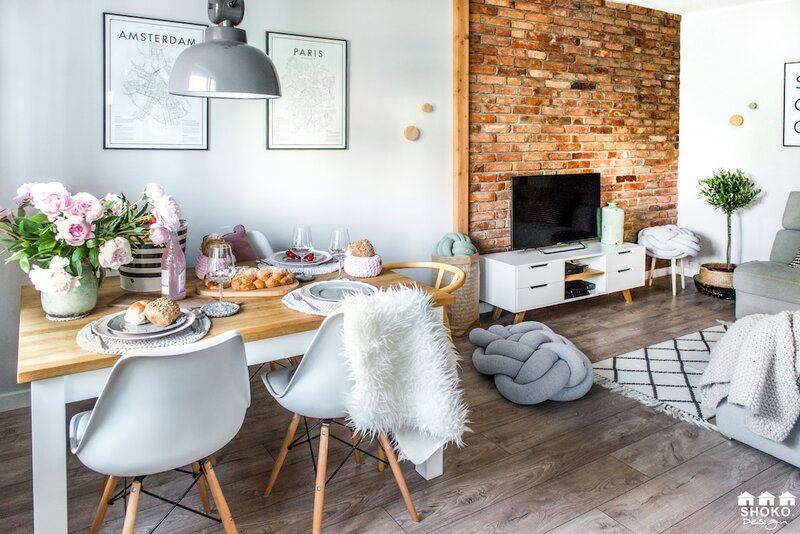 THE LIVING ROOM IS CONNECTED WITH THE DINING ROOM AND CREATE BOTH A HUGE SPACE IN WHICH THE FAMILY SPENDS THE MOST OF TIME. IN THE DAILY ZONE THERE IS A CHIMNEY AND A SHELF FOR THE FAVORITE BOOKS. HUGE SIDE BY SIDE FRIDGE, WIDE COOKING ZONE AREA AND A BIG, SPACIOUS SINK WERE ONLY SOME OF THE GUIDELINES WE RECEIVED FOR THE KITCHEN AT THE BEGINNING OF THE PROJECT. 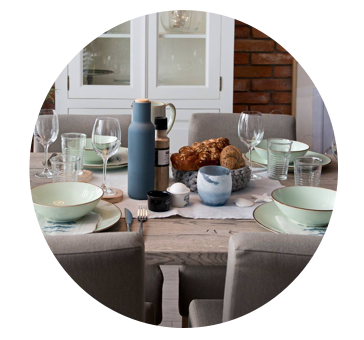 THE INVESTORS ALSO WANTED A SMALL KITCHEN TABLE AT WHICH THE WHOLE FAMILY COULD EAT A DELICIOUS BREAKFAST. THERE IS A CUPBOARD IN WHICH THEY CAN STORE VARIOUS DECORATION AND SETS. THE "HOUSE ON BALI" OWNERS LOVE TO COOK - I HAD A CHANCE TO TRY THEIR DISHES. 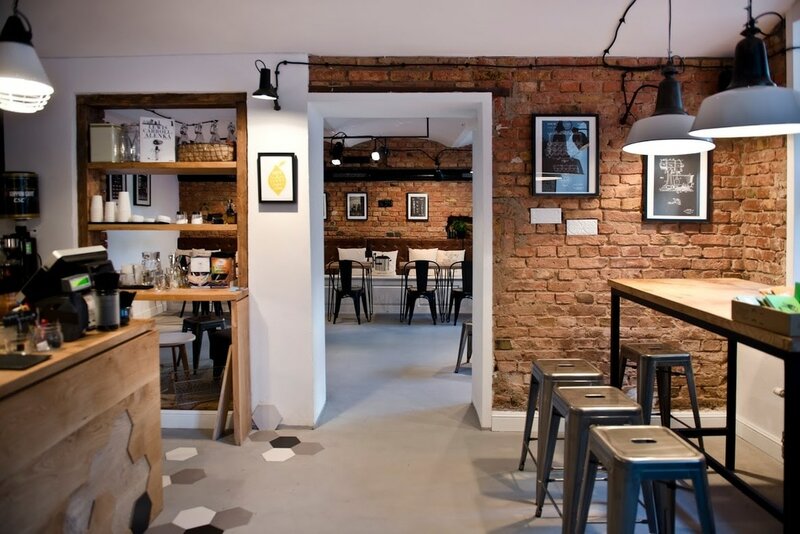 CURRENTLY IT IS MY FAVORITE PLACE IN THIS PART OF WARSAW AND THEIR SALMON-CHEESE PASTE MADE BY PIOTR AND THE MORNING COFFEE BY IWONA HAVE TOTALLY STOLEN MY HEART. 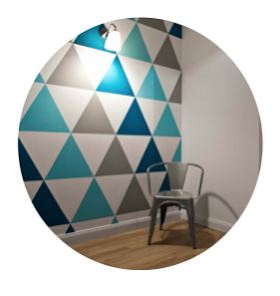 CHEVRON STANDS FOR A MODERN PATTERN APPEARING IN VARIOUS INTERIORS. DO YOU KNOW ITS NAME PROBABLY COMES FROM THE FRENCH WORD "CHEVRE" MEANING A GOAT AND A HOOF PATTERN ASSOCIATED WITH IT? :) AT SHOKO WE LOVE ALL THAT IS TRADITIONAL AND TIMELESS AT THE SAME TIME. 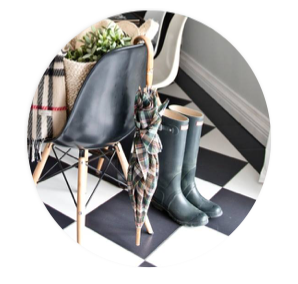 CHEVRON PATTERN IS EXACTLY THAT! THE STAYLE, THAT WE CALLED "FRENCH BOUDOIR" EMPHASIZES THE ELEGANCE AND TIMELESS CHARACTER OF THE INTERIOR. BOUDOIR IN THE TIME OF ROCOCO AND ROMANTICISM WAS WIDELY USED AS AN ELEGANTLY DECORATED ROOM FOR THE MISTRESS. THE INTERIOR WAS REFINED DECORATED AND USED AS A PLACE, WHERE THE MISTRESS WAS PREPARING HERSELF TO MEET HER GUESTS. 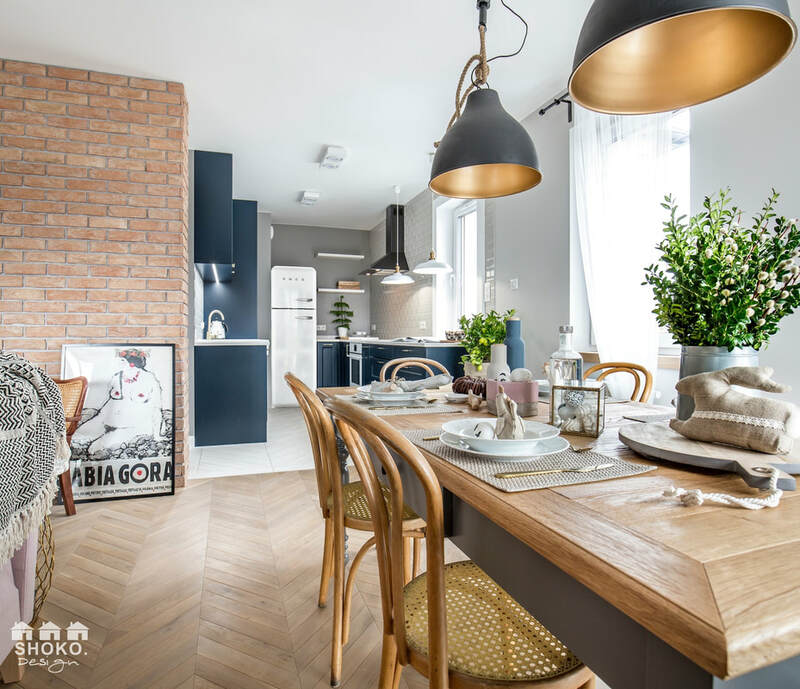 IN OUR CHEVRON PROJECT YOU WILL FIND LOTS OF OLD ELEMENTS, THAT THE INVESTORS WANTED TO USE, AS THEY CARRY A PRICELESS SENTIMENTAL VALUE FOR THEM. 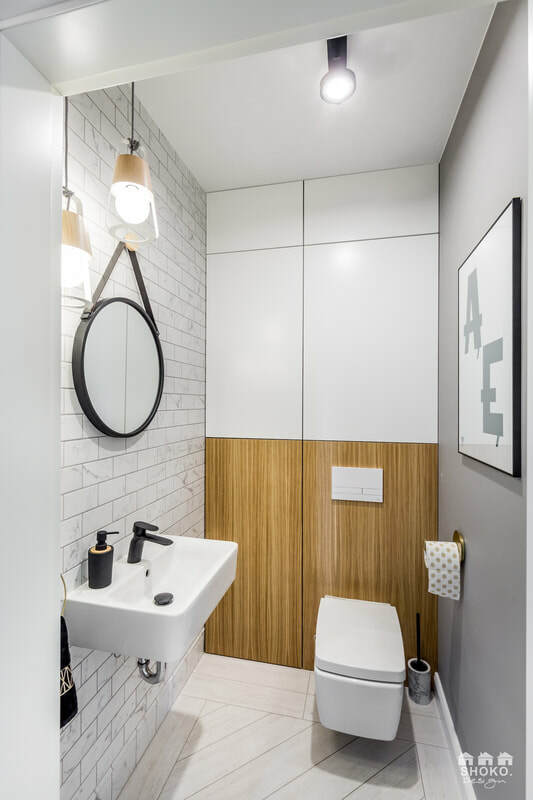 BATHROOMS ARE THE ONLY PLACE IN WHICH THE PROJECT GOES MORE IN THE MODERN DIRECTION, HOWEVER THE TILES PATTERN WAS STILL KEPT IN CLASSIC FORM AS WHITE MARBLE OR CLASSIC BLACK AND WHITE SHAPE ON THE FLOOR. 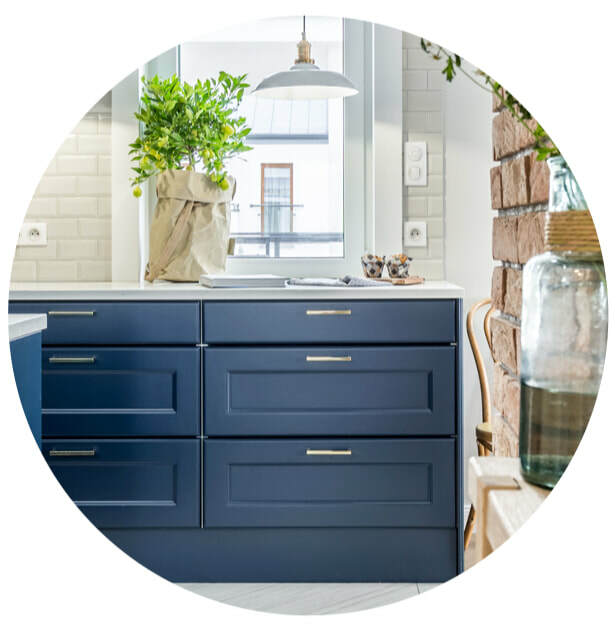 THE HEART OF THE HOUSE IS THE NAVY BLUE KITCHEN, THAT IS OPEN TO THE LIVING ROOM. 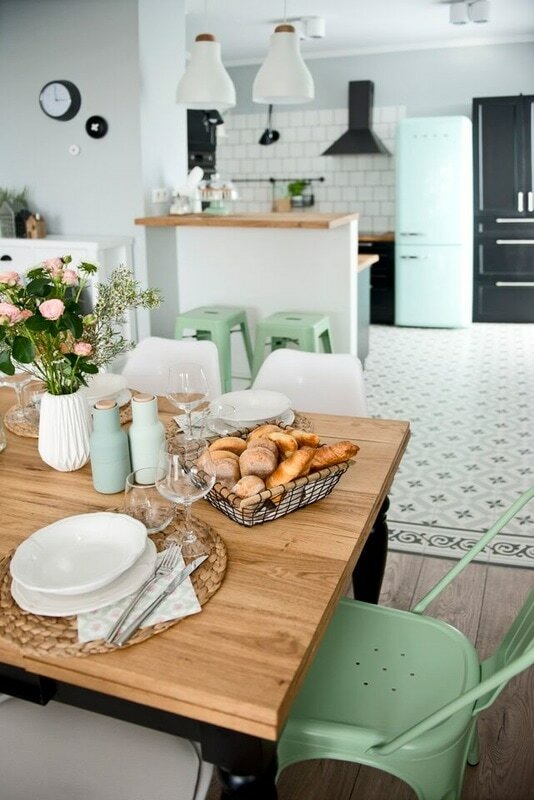 THIS UNCLEAN BEAUTIFUL AND CLASSIC COLOR ADDED CONTRAST TO THE TONED INTERIOR. 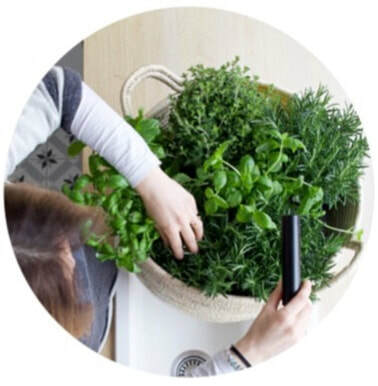 ORGANIC - MEANS NATURAL, WITHOUT ARTIFICIAL ADDITIVES. THIS IS ALSO THE LATEST SHOKO.DESIGN PROJECT - "100% ORGANIC". 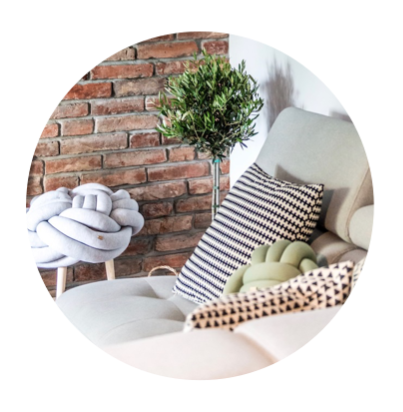 MATERIALS THAT DOMINATE IN THE INTERIOR COME STRAIGHT FROM NATURE AND IT IS MAINLY: WOOD, STONE, GLASS, CONCRETE, COTTON AND JUTE. 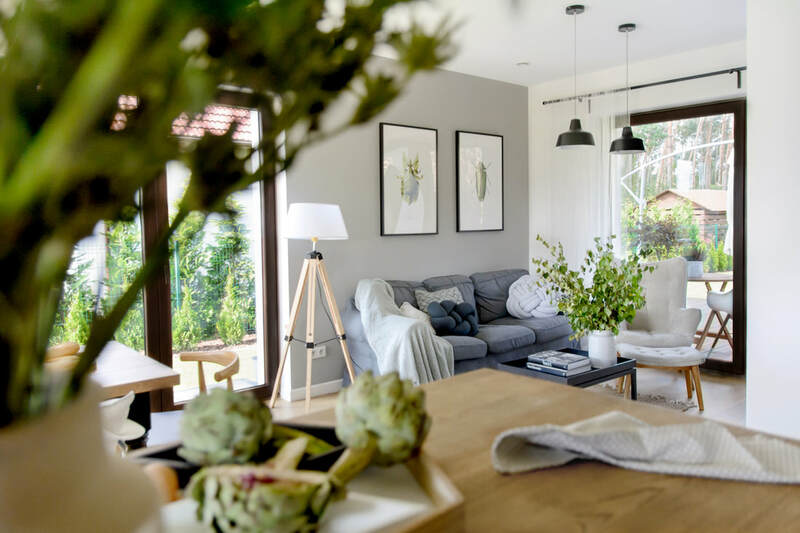 THE OWNERS OF THE FLAT - OLA AND MIKE LOVE TRAVELING AND DREAMED ABOUT MAKING THEIR HOME AN OASIS OF PEACE AND A COMFORTABLE STOPOVER BETWEEN DISTANT DESTINATIONS. 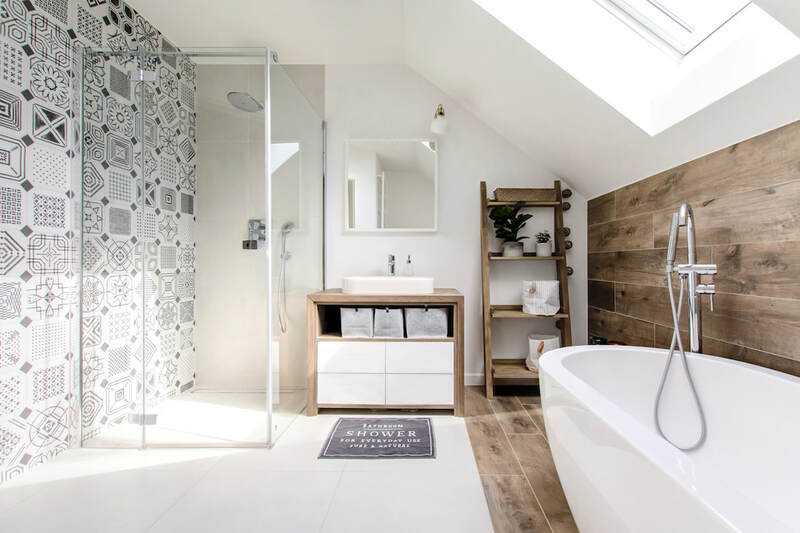 WOOD IN THE DESIGN APPEARS NOT ONLY ON THE FLOOR AND IN THE LIVING ROOM, BUT ALSO ON THE WALL NEAR THE KITCHEN AND ON THE FLOOR IN THE BATHROOM NEXT TO THE MASTER BEDROOM. IN THE FRONT OF THE ENTRANCE WE CREATED A RELAX ZONE, SETTING LOW BUILDINGS WITH SEATS UNDER THE WINDOWS, WHERE RESIDENTS CAN SPEND A MOMENT RELAXING WITH A CUP OF THEIR FAVORITE COFFEE. 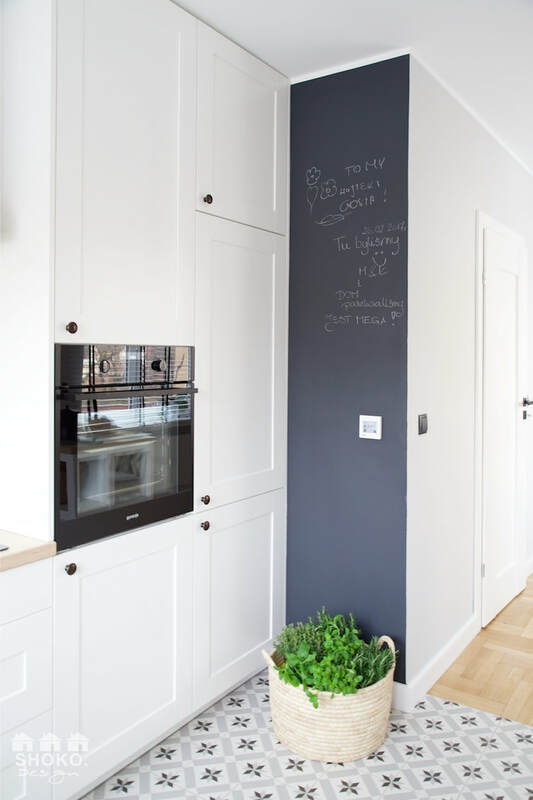 THE KITCHEN - MINIMALISTIC AND VERY FUNCTIONAL - WAS CREATED ON WOODEN FRONTS AND GRANITE BLACK COUNTERTOP. AS A CONTRAST TO THE RATHER HEAVY WHOLE, WE ADDED A LONG, WHITE WALL WITH FURNITURE TO MAKE IT LOOK LIGHTER AND BRIGHTER. 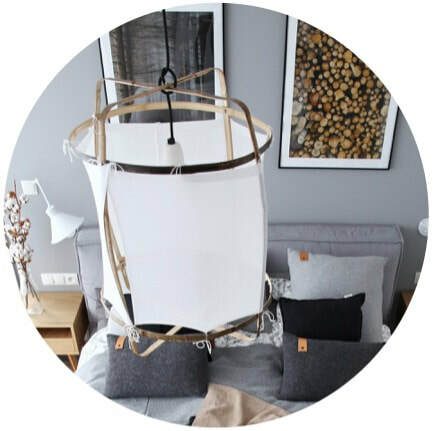 IN THE INTERIOR WE ALSO TOOK CARE OF STYLISH LAMPS, THAT ADD A "WOW" EFFECT TO THE WHOLE AND MAKE THE INTERIOR LOOK STYLISH AND ORIGINAL. 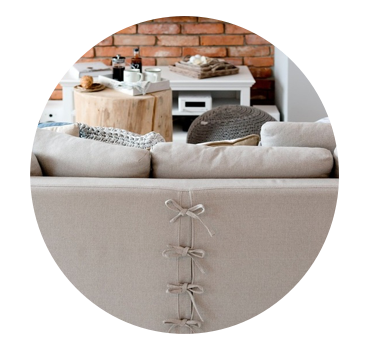 SIMPLICITY AND FUNCTIONALITY ARE THE TWO MAIN WORDS THAT PERFECTLY DESCRIBE THIS INTERIOR. 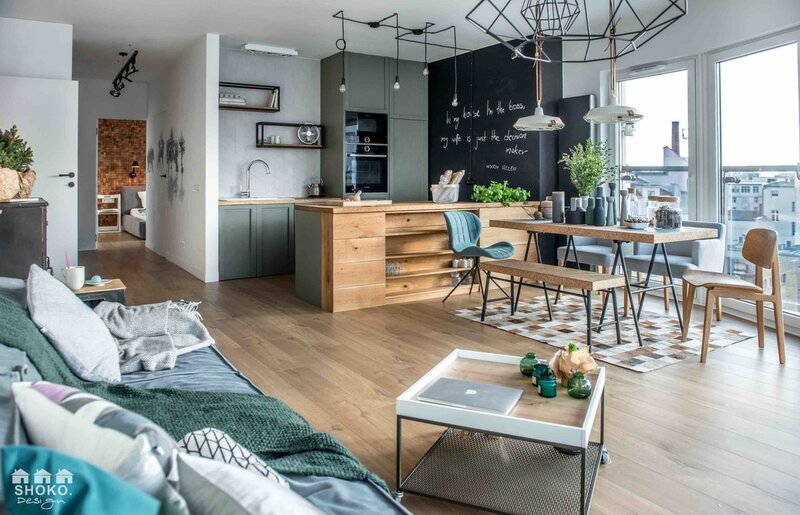 "RIVIERA OF BLUE" APARTMENT IS INSPIRED BY THE FAVOURITE PLACES OF THE INVESTORS. THE SPACE IS SUPPOSED TO REMIND THEM OF FRENCH RIVIERA, WHERE THEY RETURN EACH YEAR FOR HOLIDAY. 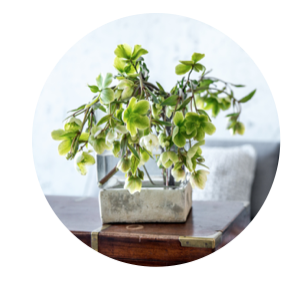 ACCENTS SUCH AS PILLOWS IMITATING STONES, CANDLES IN LANTERNS, WOODEN STUMPS AND OLIVE TREES CREATE ALMOST A FEELING OF A SEASIDE BREEZE. THE BRICK THAT DRESSES THE WALL WAS TAKEN FROM THE DEMOLITION OF AN OLD BUILDING. 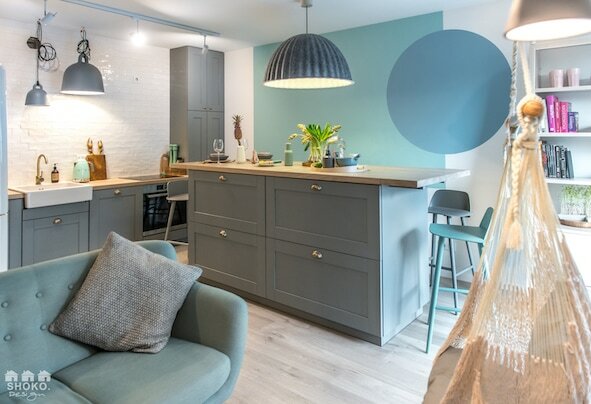 THE KITCHEN IS A WARM GRAY COLOR, PERFECTLY FITS THE WHOLE SPACE. 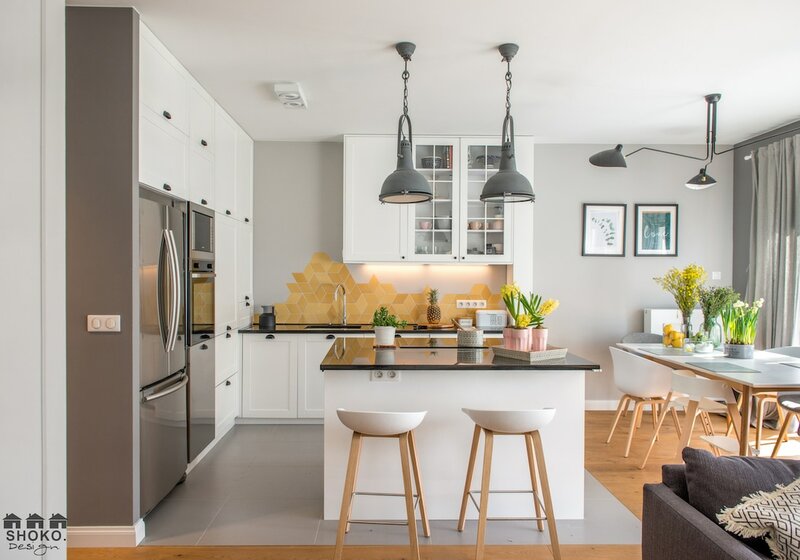 THERE IS ALSO A LOT OF BLACK ACCENTS IN THE APARTMENT SUCH AS AN EXTRACTOR HOOD, KITCHEN FIXTURES AND LAMPS HIGHLIGHT THE SPACE AND GIVE AN INTERESTING CONTRAST. ALL FURNITURE IN THE INTERIOR IS WHITE WITH DECORATIVE FOLDS. BIO FIREPLACE HAS BEEN INSTALLED. POWERED BY BIO FIUELS IT WARMS UP THE ATMOSPHERE. 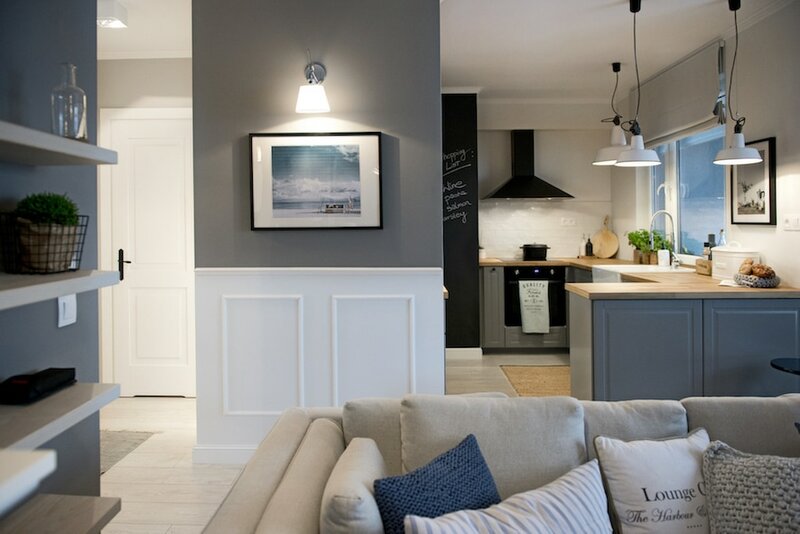 WALL MOLDINGS PRESENTED IN THE LIVING ROOM AND CORRDOR PRESENT A FRENCH STYLE. 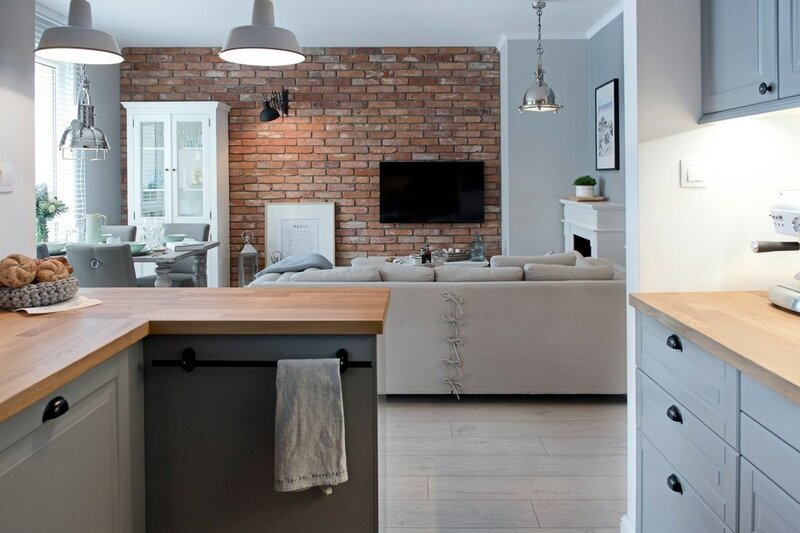 SCANDINAVIAN INTERIOR WITH INDUSTRIAL TWIST. DESIGNED FOR A MARRIED COUPLE WIT A NEWBORN. OPEN FLOOR PLAN WITH MEZZANINE IS ONE OF THE BEST FEATURES OF THE APARTMENT. 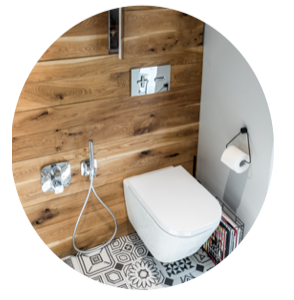 TWO BATHROOMS, ONE DOWNSTAIRS FOR GUESTS AND A SECOND ONE, BIGGER LOCATED ON THE MEZZANINE LEVEL ARE PERFECTLY DESIGNED TO STORE AS MANY ACCESSORIES AS POSSIBLE. CUSTOM GLASS, BEDROOM WALL SEPERATES IT FROM THE LIVING SPACE AND PROVIDES AMPLE AMOUNT OF NATURAL LIGHT AND AIRFLOW. 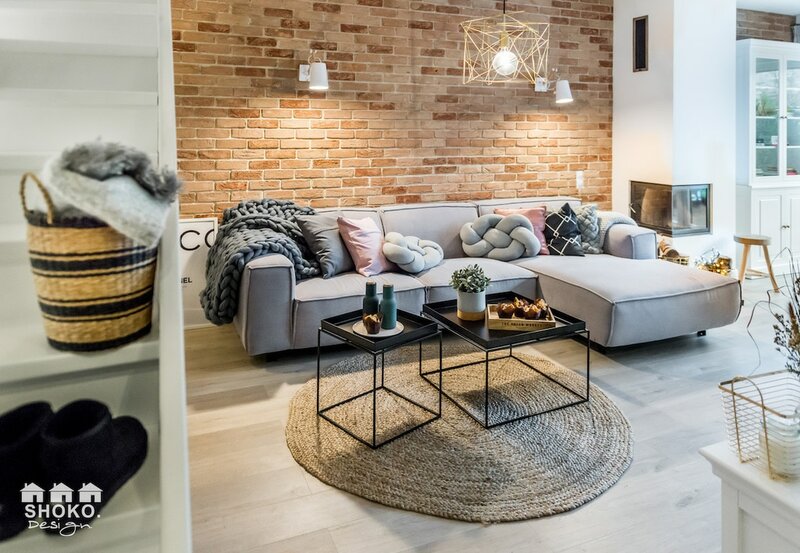 GEOMETRICAL FLOOR PATTERN, EXPOSED WOOD BEAMS ACOMPANIED BY BRICK WALL IN THE KITCHEN CARRIED OVER TO THE LIVING ROOM EMPHASIZE THE CHARACTER OF THE SCANDINAVIAN DESIGN WITH A TWIST OF NEW YORK LOFT STYLE APARTMENT. LINES AND GEOMETRICAL PAINTED SHAPES ON THE WALL BREAK IT'S MONOTONUOUS SILHOUETTE. LIGHT WEIGHT CONSTRUCTION OF THE STAIRCASE PERFECTLY BLENDS WITH THE LIVING AREA WITHOUT TAKING TOO MUCH OF IT'S SPACE. CUSTOM KITCHEN COUNTERTOP MADE OUT OF BUTCHERS BLACK GRADE OAK WOOD WITH INTEGRATED SHELVES WORK BOTH AS A BAR OR A WORKSPACE. 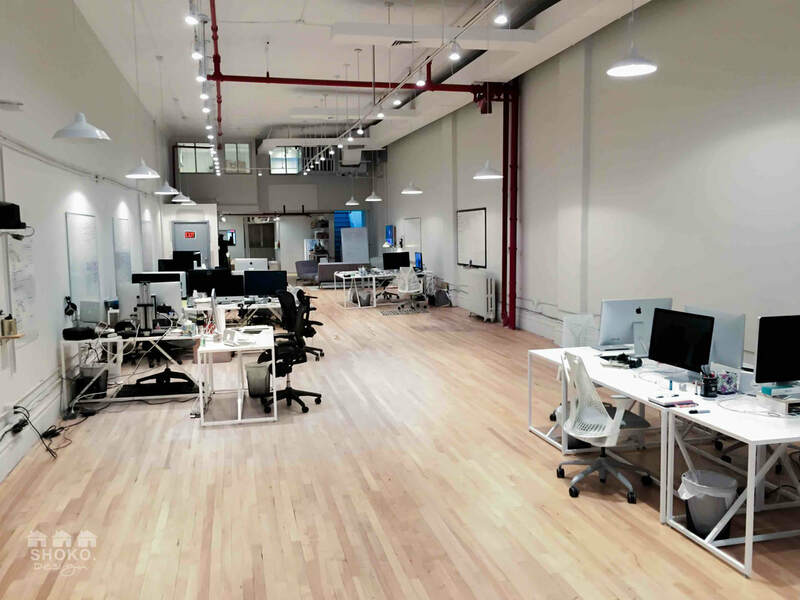 COMMERCIAL AND OFFICE SPACE DESIGNED ON BROADWAY MANHATTAN FOR CASEY NEISTAT - FAMOUS YOUTUBER. 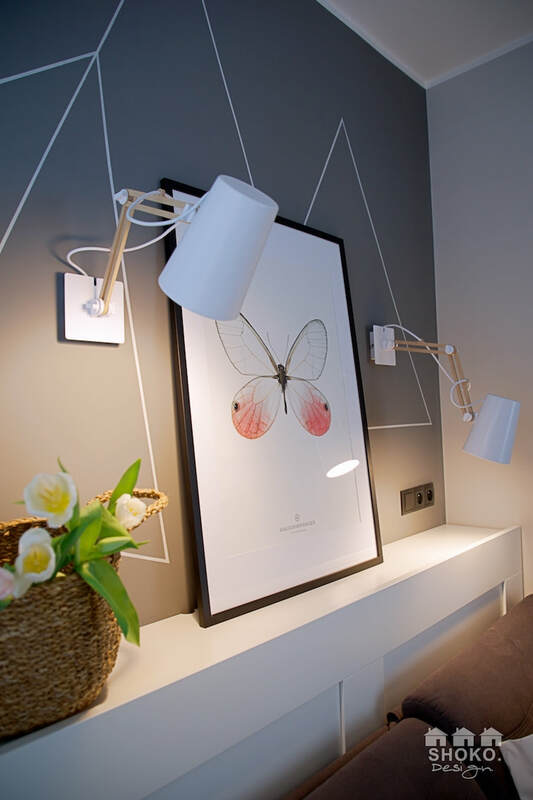 THE MAIN GOAL WAS TO CREATE A WARM ATMOSPHERE FOR THE TEAM USING BASIC PRINCIPLES OF PURE CLEAN SCANDINAVIAN DESIGN. RECLAIMED WOOD FLOOR HAS BEEN RESTORED TO IT'S FULL FUCTIONALITY. 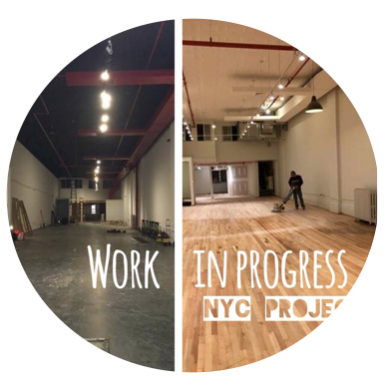 WHEN WE FIRST ENTERED THE INTERIOR, IT WAS NEGLECTED AND DATED AND IT WAS HARD TO IMAGINE A MODERN AND ORIGINAL SPACE THERE. 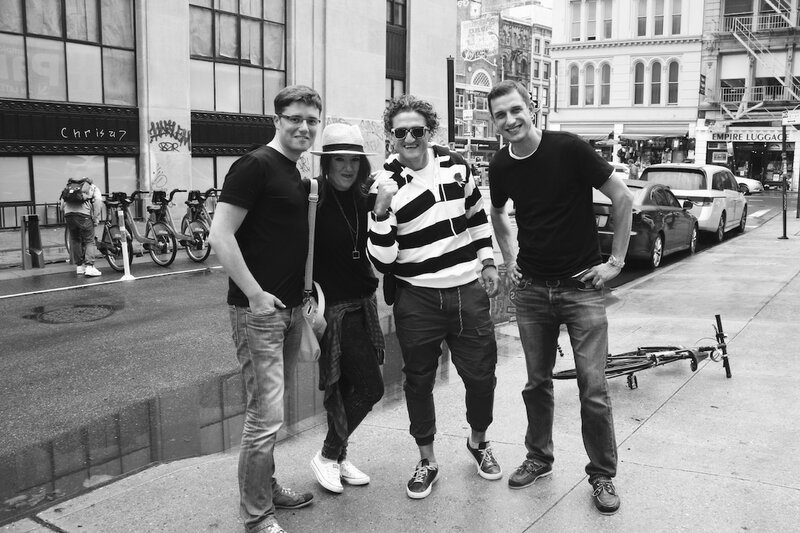 THE STORY OF THE PROJECT WITH CASEY IS A TRUE CONFIRMATION THAT "AMERICAN DREAM” STILL EXISTS ...ONCE UPON A TIME WE WALKED IN THE STREETS OF NEW YORK, DURING A PHOTO SESSION, AT ONE POINT WE CAME ACROSS CASEY, WHO WORKED ON SHOTS FOR HIS VLOG WITH ANOTHER FAMOUS YOUTUBER BEN BROWN. WE WENT TOWARDS THEM WITHOUT THINKING AND STARTED TALKING. SINCE WE HAVE BEEN WATCHING HIS BLOG FOR A FEW YEARS NOW THE QUESTION ABOUT HIS TRAVELS AND INSPIRATIONS ASSOCIATED WITH THEM HAVE NOT ENDED. 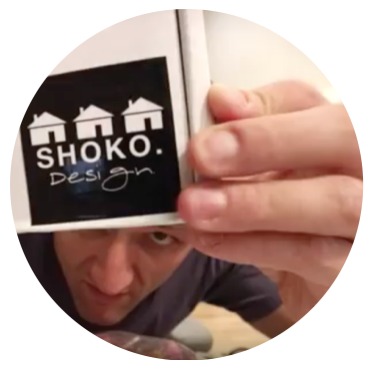 CASEY NOTICED THAT WE WERE WEARING SHOKO T-SHIRTS AND ASKED US ABOUT OUR PROFESSION. WE DO NOT KNOW WHETHER IT WAS FATE... BUT CASEY NEEDED AN ARCHITECT AT THAT TIME TO DESIGN HIS NEW START UP ON BROADWAY. WE DID NOT RESIST LONG :) HAHAH THE STORY OF CASEY'S INTERIOR CAN BE FOUND UNDER THE OUR SHOKO.NEWS CHANNEL. • the interior was in a very bad condition at first. It was a long process to cure it. MODERN, LITE, FULL OF DIFFERENT COLOURS AND TEXTURES - THAT IS HOW OUR NEW PROJECT „MODERN BOHO” LOOKS LIKE. 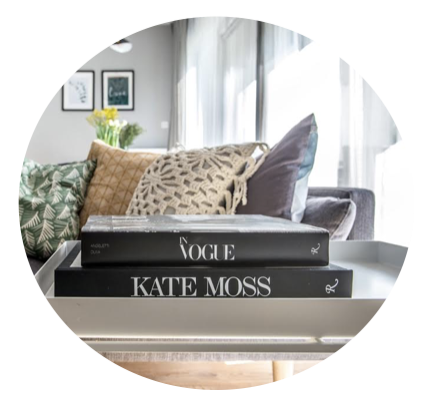 THE MAIN INSPIRATION OF THIS PROJECT WAS OUR FAVOURTIE FASHION ICON - KATE MOSS, WHO NOT ONLY IS A DEFINITE REPRESENTATIVE OF BOHO FASHION STYLE, BUT ALSO ITS PRECURSOR. BOHO'S FASHION SYLING ALWAYS COMBINES A NUMBER OF INTERESTING STRUCTURES: FRINGES, STRINGS OF THICK WEAVE, INTERESTING COLORS AND BRAVE PRINTS - BUT ALL THAT IS ALWAYS PERFECTLY COMPOSED WITH GREAT ATTENTION TO DETAILS. INSPIRED BY KATE'S DRESSES, WE DECIDED TO MODEL THE "MODERN BOHO” IN SUCH A WAY - TRYING TO COMBINE THE MOST DIVERSE MATERIALS AND STRUCTURES - ONE HUNDRED PERCENT ECLECTICISM. 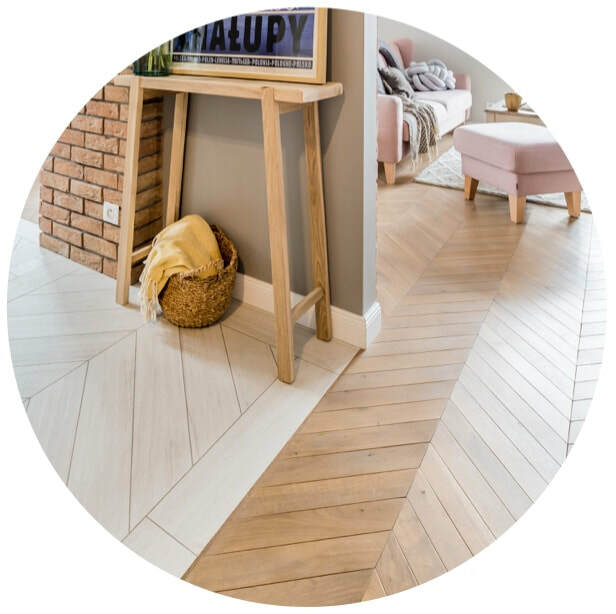 ON THE FLOOR THROUGHOUT THE APARTMENT WE DESIGNED A SOLID WOODEN OAK FLOOR, WHICH CREATES A BEAUTIFUL BASE FOR THE REST OF THE INTERIOR. ONE OF THE WALLS IN THE LIVING ROOM IS DRESSED UP IN MOULDINGS, TO ADD AN ELEGANT ACCENT INTO THE INTERIOR. 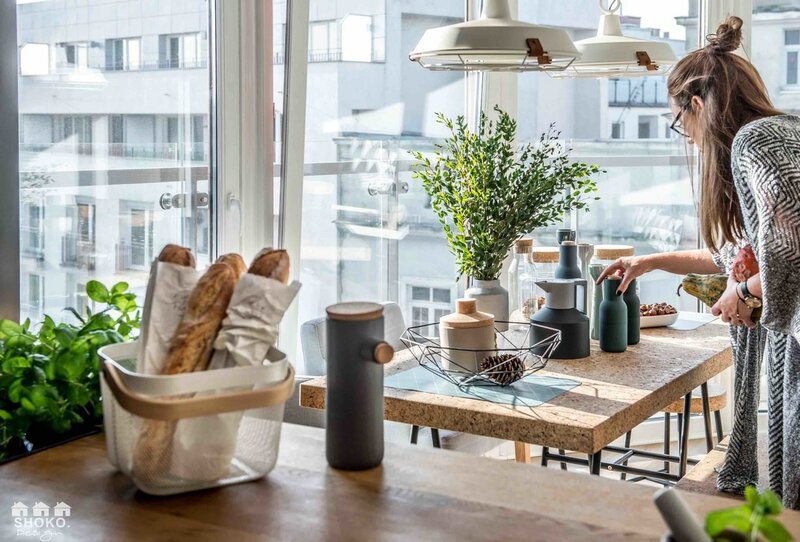 IN THE DINING AREA, WE USED ONE OF OUR NEWEST FAVOURITE LAMPS, FROM THE FRENCH DESIGNER SERGE MOUILLE, AND AT THE TABLE WE SET UP A BEAUTIFUL, MINIMALISTIC CHAIRS FROM HAY COMPANY, IN A BUCKET-SHAPED FORM. 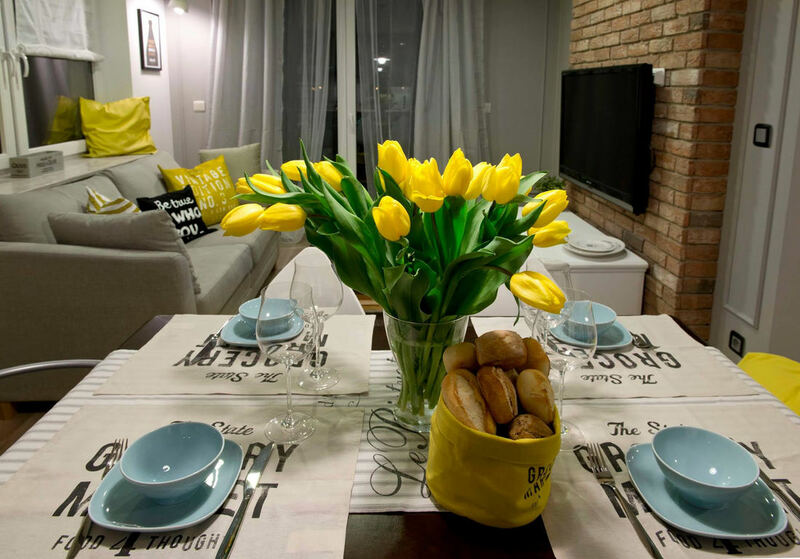 IN THE REST OF THE APARTMENT, YOU WILL FIND THREE BATHROOMS, THREE BEDROOMS AND AN OFFICE, THAT IS ALSO USED AS A GUEST ROOM. SINCE A LARGE PART OF THE APARTMENT OCCUPIES CORRIDORS, WE DECIDED TO USE THEM AS A STORAGE SPACE. WE EVENTUALLY CREATED TWO SPACIOUS WARDROBES. 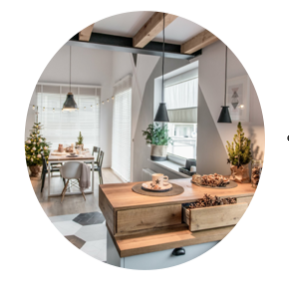 IT IS NOT A MYSTERY, THAT WORKING ON THIS INTERIOR WAS REALLY A HUGE PLEASURE FOR US, THANKS TO THE CREATIVE ATMOSPHERE AND THE FULL TRUST OF THE INVESTORS INTO SHOKO. 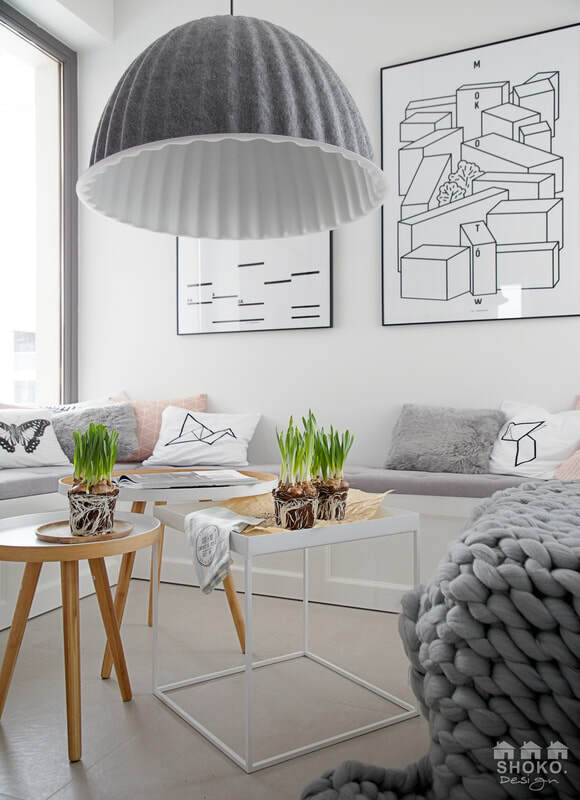 NORDIC FEELING PRESENTS A NORDIC HOUSE WITH MINIMALISTIC TOUCHES. 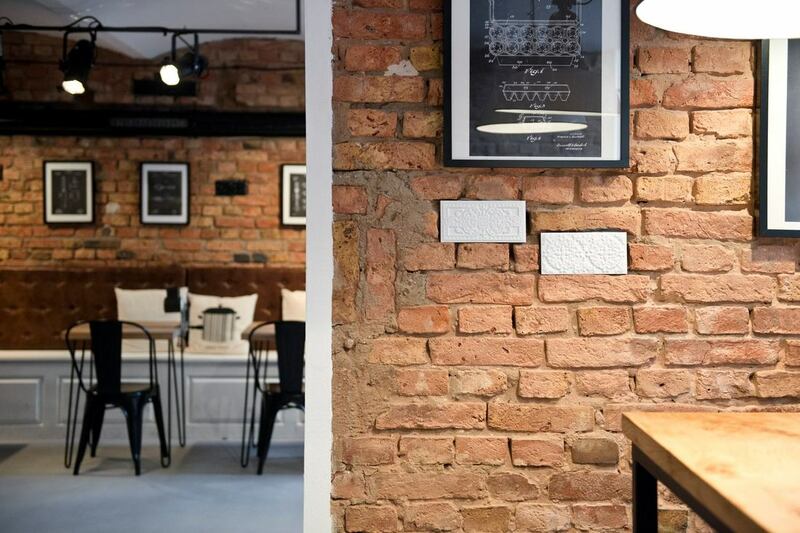 IT IS A PLACE WHERE BLACKS AND GRAYS ARE MIXED WITH WOOD TONES AND EXPOSED BRICKS CREATING A COZY AND SERENE ATMOSPHERE. 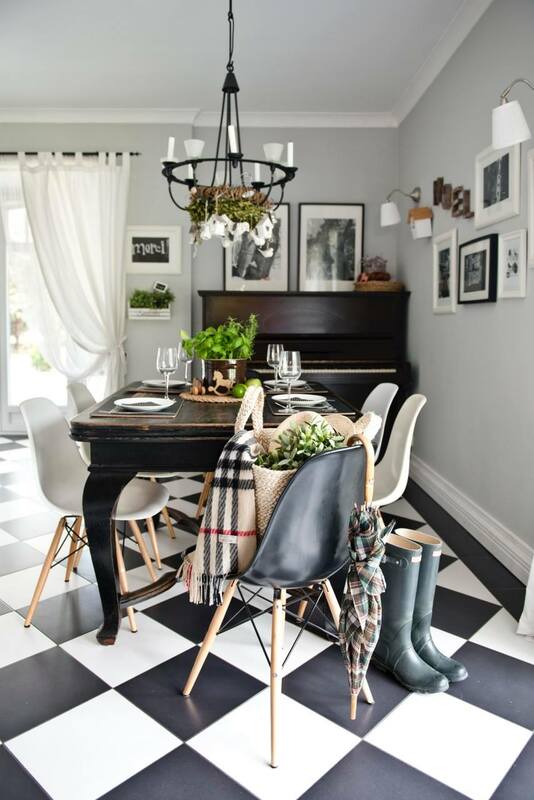 GRAY-WHITE WALLS CARRIED OVER THROUGHOUT ALMOST EVERY ROOM EMPHASIZE SPACIOUS AND AIRY FEELING. 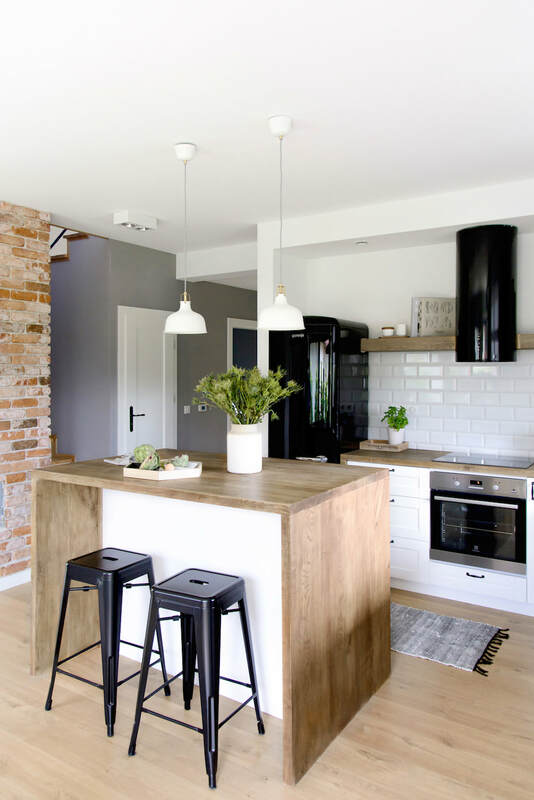 IN ADDITION TO DECORATIVE BRICK DETAILS IN THE KITCHEN, THE HOUSE FEATURES SOFT AND COMFY GREY TEXTILES AND WARM WOODEN DETAILS WITH A BIT OF CONTRAST WITH MATTE BLACK DECOR. 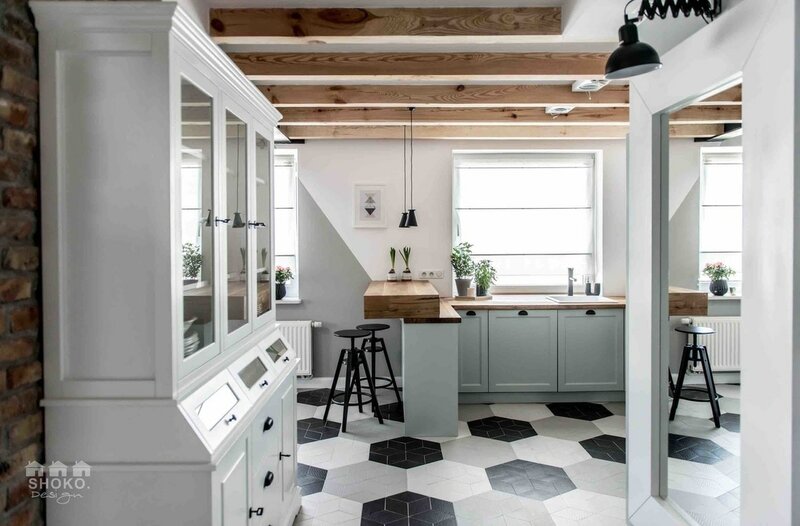 AS MANY SCANDINAVIAN INTERIORS, THE HOUSE HAS WOODEN FLOORS IN ALL ROOMS WITH EXCEPTION OF THE BATHROOM FLOOR. THE LIVING ROOM IS THE MAIN AREA OF THE HOUSE - IT HAS LARGE PANORAMIC WINDOWS THAT LET IN NATURAL DAYLIGHT AND OVERLOOK TO THE BACK YARD GARDEN. 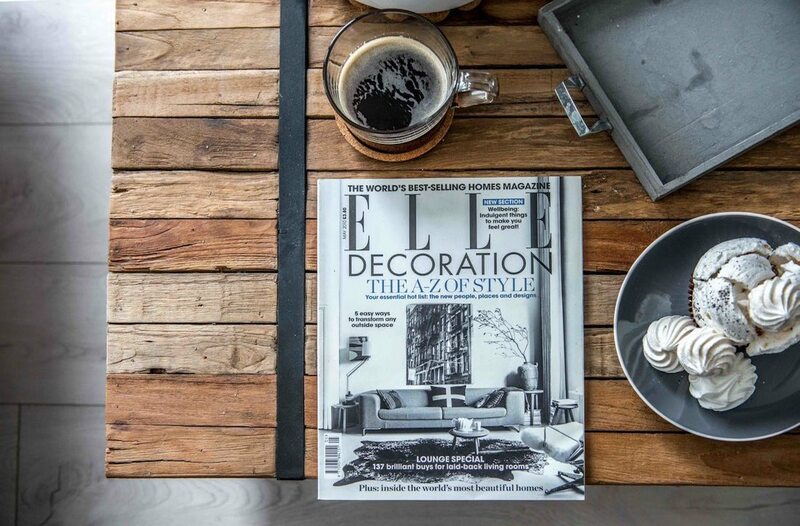 THE WIDE PALETTE OF GRAYS HAS BEEN USED FEATURING ASHEN PEWTER SHADE AND SMOKEY HUE. 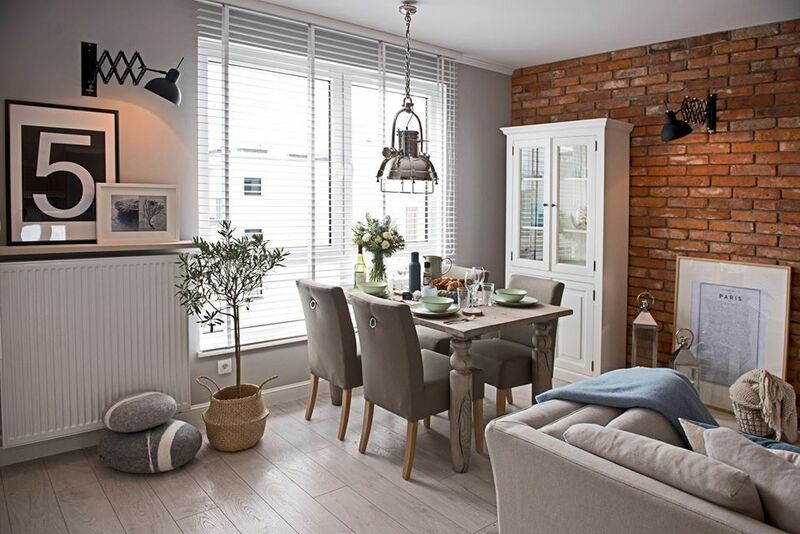 TRADITIONAL AND CHIC FURNISHINGS GIVE THE ROOM A STYLISH AMBIENCE WHILE REMAINING SUBTLE AND SOPHISTICATED PERFECTLY INTEGRATING WITH A TIMELESS NEW NORDIC DESIGN. 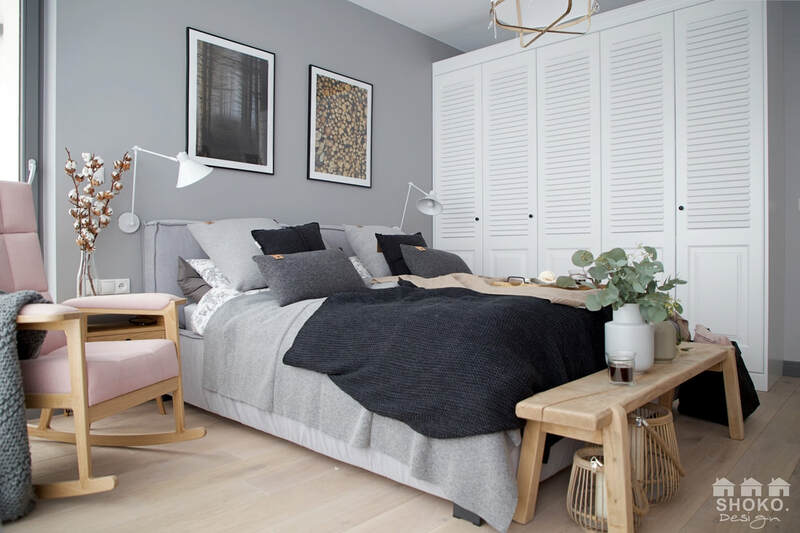 THE MIX OF TEXTURES, LIKE THE PATTERNED BED THROW AND VELVETY BEDROOM BENCH, TAKE FULL ADVANTAGE OF THE GRAY COLOR NEUTRALITY. RESTAURANT BO. IS LOCATED IN THE BASEMENT OF AN OLD BRICK TENEMENT HOUSE. 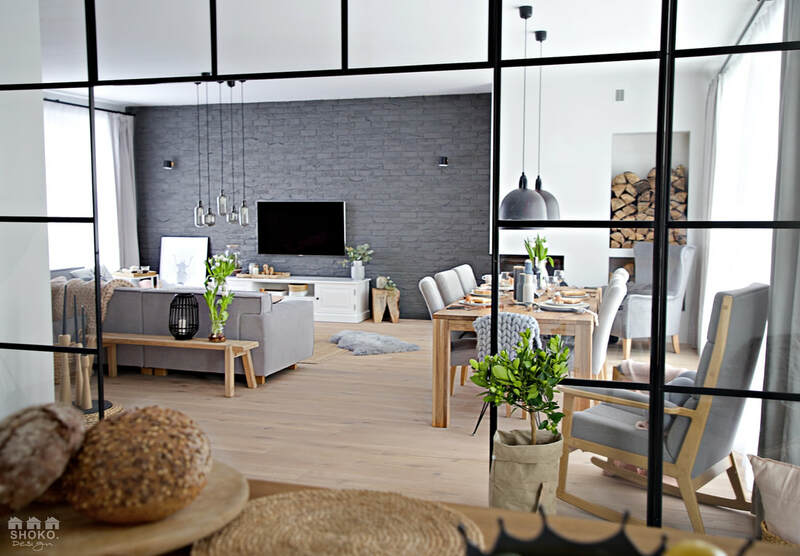 IT IS DESIGNED IN INDUSTRIAL, WARM AND COSY STYLE. 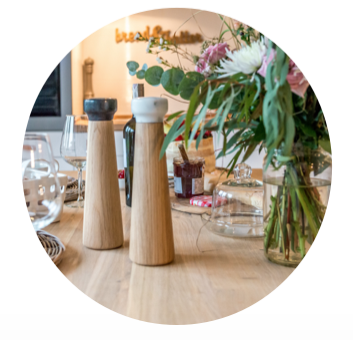 „BO” IS A RESTAURANT SERVING SIMPLE AND TASTY CUISINE. 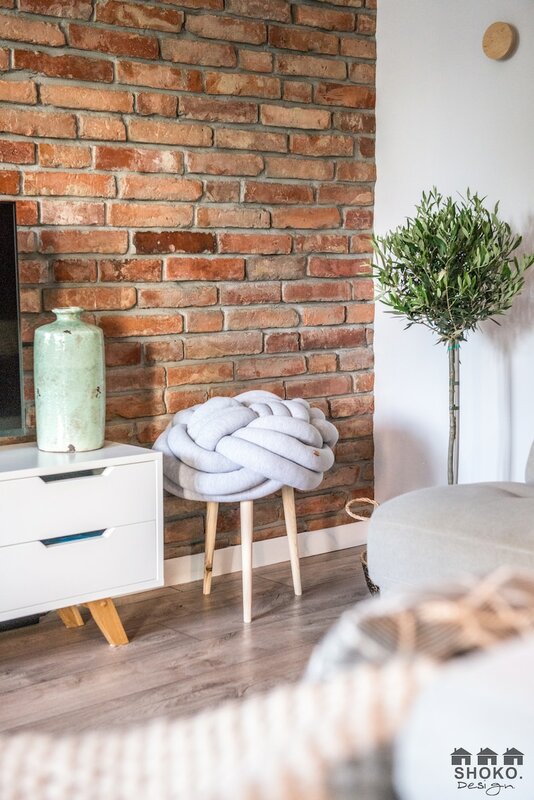 WARM TONES AND OLD RED BRICKS IN HARMONY WITH THE EQUALLY WARM SHADE OF WOOD, CREATE AN ATMOSPHERE IN WHICH WE FEEL THE FREEDOM AND FEEL LIKE AT YOUR HOME. 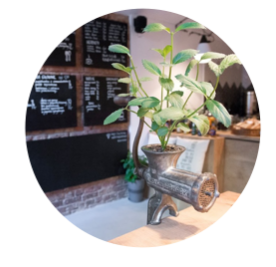 MANY ELEMENTS IN THE RESTAURANT WERE FOUND AT ANTIQUES FAIR AND ANTIQUE SHOPS. ALL LAMPS USED INSIDE ARE FROM BEFORE WORLD WAR II AND HAVE BEEN COMPLETELY RENOVATED. FLOOR THAT WE HAVE CHOSEN FOR THE RESTAURANT IS MADE OF EPOXY RESIN. 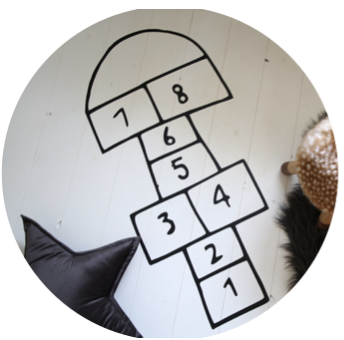 IT FORMS A UNIFIED PLANE, WHICH GAVE GREAT OPPORTUNITIES FOR THE INTERIOR ARRANGEMENT AND DECORATION. 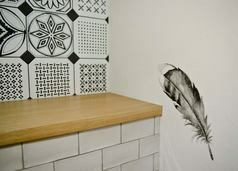 IN PLACE OF THE MISSING BRICKS ON THE WALL, WE PASTED DECORATIVE SUBWAY TILES IMITATING AN OLD STOVE TILES. THE BAR IN THE RESTAURANT IS MADE ENTIRELY OF WOOD. AN ORIGINAL ACCENT AT THE BAR ARE HEXAGONS WHICH WE HAVE PASTED INTO THE WOOD AND CARVED THEIR PATTERN ON THE FRONT. WOODY ALL IS A WOODY ALLEN INSPIRED PROJECT CORNER UNIT APARTMENT WITH AN AMAZING VIEW AND ENORMOUS WINDOW PACKED WITH WOOD ACCENTS THROUGHOUT THE WHOLE INTERIOR. 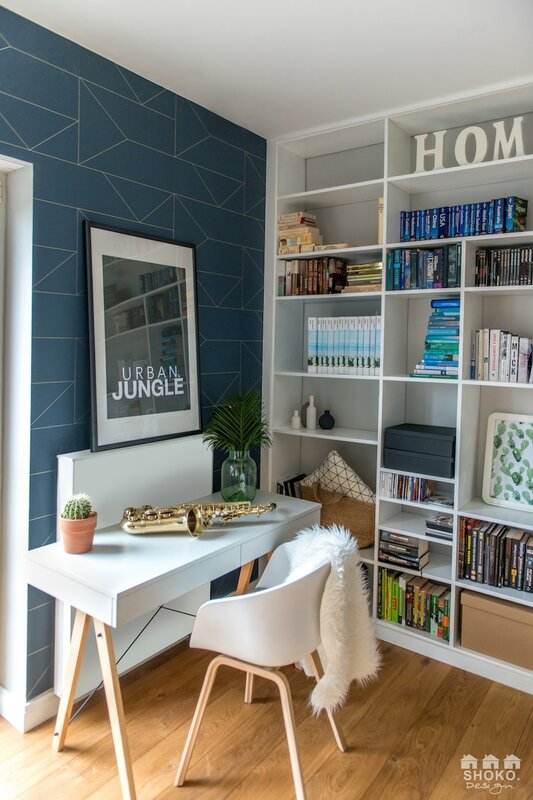 COMBINATION OF NEW YORK CITY DESIGN WITH A HINT OF SCANDINAVIAN TOUCH CREATED FOR DOG AND MOVIE LOVING COUPLE IN THE HEART OF THE CITY. 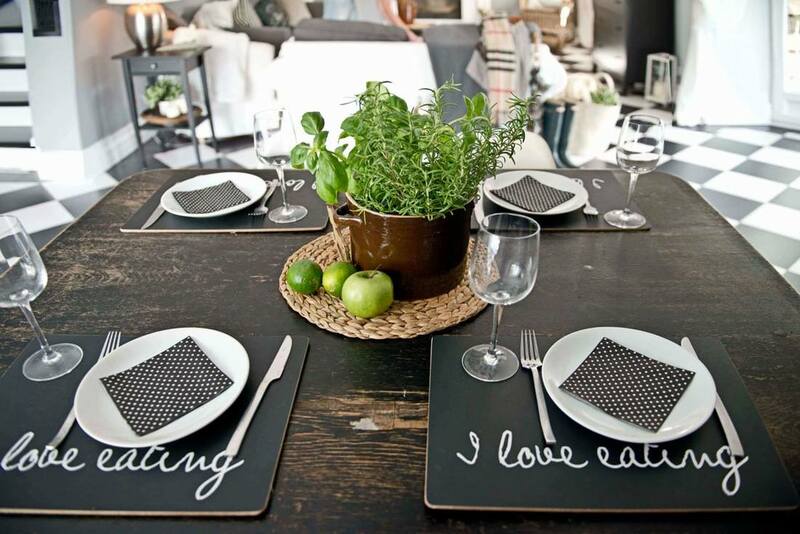 IMAGINE YOURSELF SITTING AT THE DINING TABLE, EATING BREAKFAST AND LOOKING OUT OF THE WINDOW. 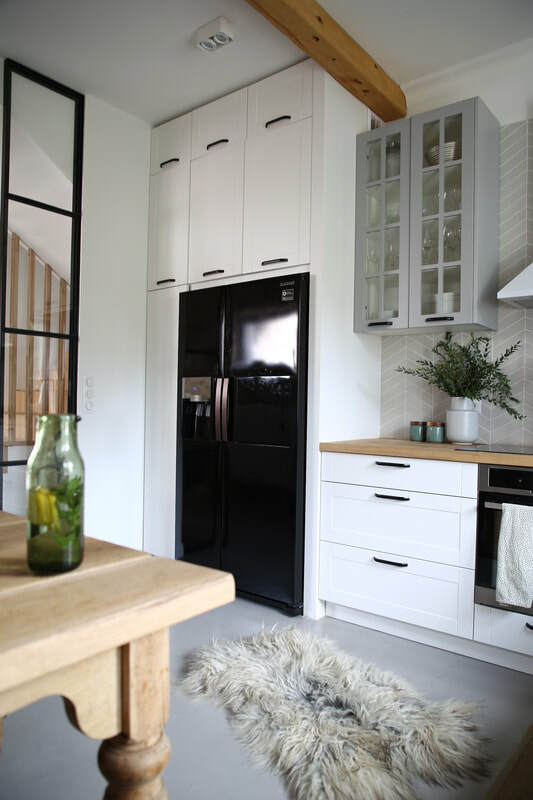 YOU KNOW THAT AN AMAZING DAY IS ABOUT TO BEGIN AND A START OF A DAY WITH THE HELP OF A CUSTOM DESIGN KITCHEN AND IT'S SHELVING PROVIDING AMPLE AMOUNT OF SPACE IS AN EASE. 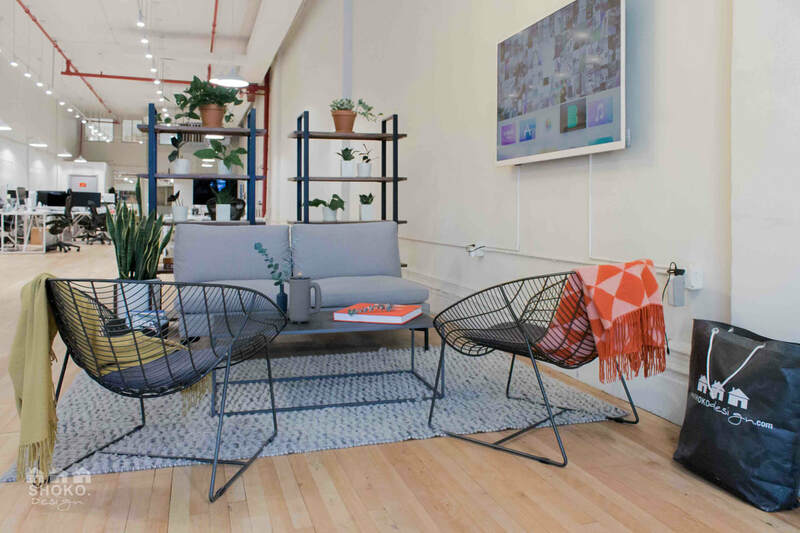 RELAX ON RETRO INSPIRED CHAIRS OR COZY COUCH WITH ACCESS TO INDUSTRIAL INSPIRED COFFEE TABLE. 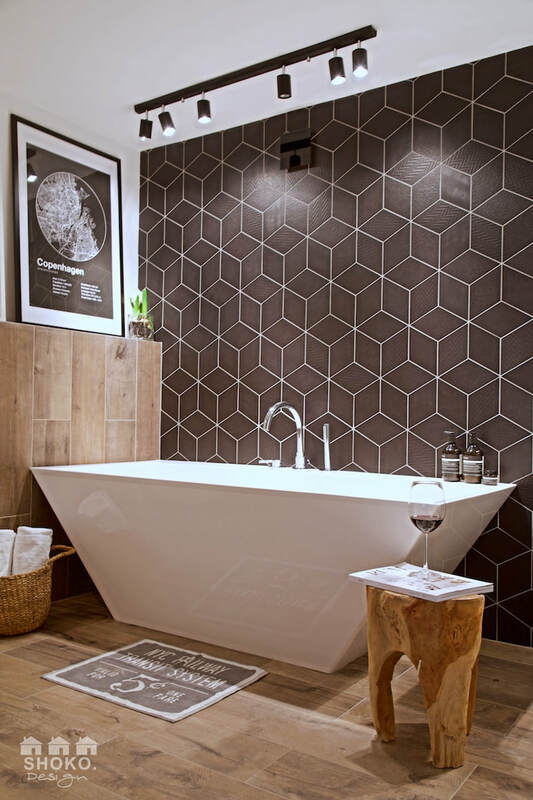 BATHROOM TILE IS A COMBINATION OF UNSUAL OCTAGON SHAPED TILES AND ROUGH EDGED SINK CALMED DOWN WITH RUSTIC WALL WITH BUILT IN STORAGE AND WARM LIGHT. 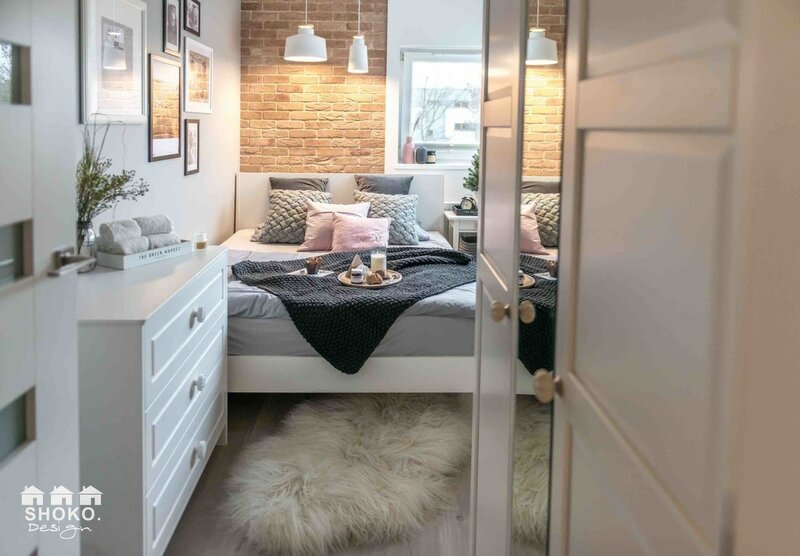 AT THE END OF THE DAY RELAX IN THE COZY BEDROOM WITH WARM FEELING SQUARE WOOD WALL. 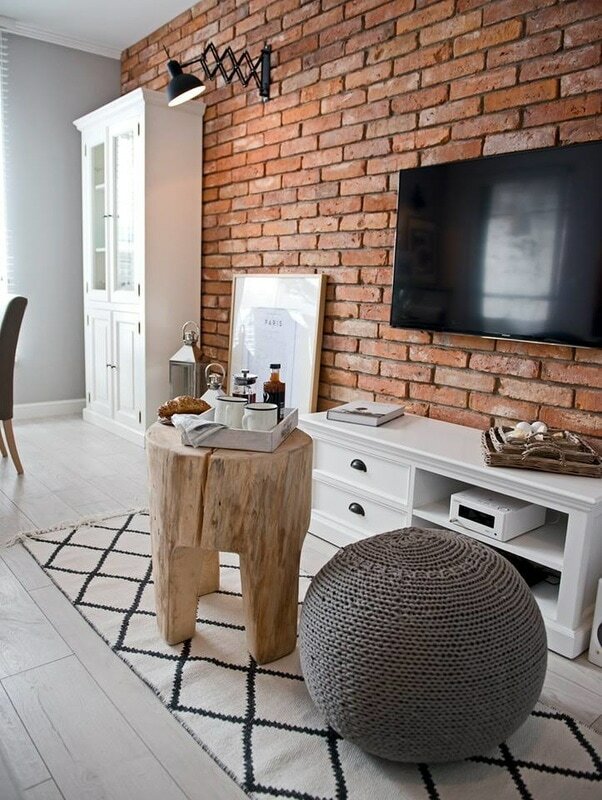 BRICK, WHITE COLOR, GRAY COLOR AND NATURAL WOOD - THIS IS WHAT SHOKO LIKES THE MOST. 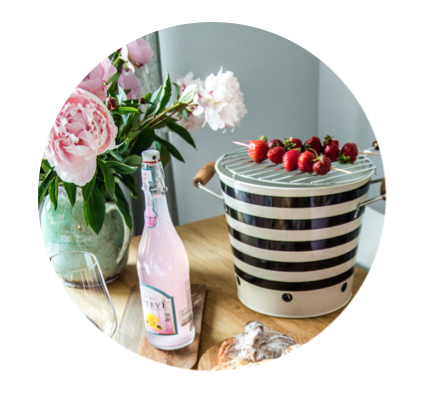 WE ADD FRESH PEONIES, WATERMELONS AND FRESH VEGETABLES AND WE END UP WITH THE NEWEST INTERIOR SUMMER VIBES. 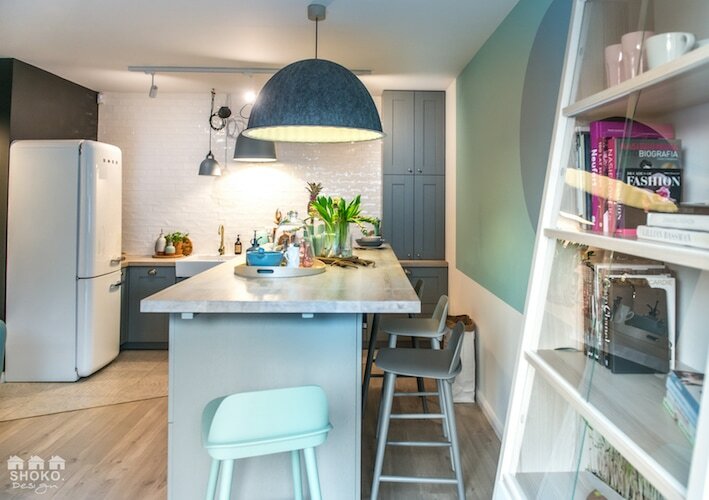 WHEN WE FIRST SAW THE APARTMENT THE SPACE WAS DIVIDED AND ARRANGED COMPLETELY DIFFERENT. WE DECIDED TO OPEN THE SAPCE AS MUCH AS POSSIBLE AND PARTLY DEMOLISH A WALL THAT WAS DIVIDING TWO ROOMS. 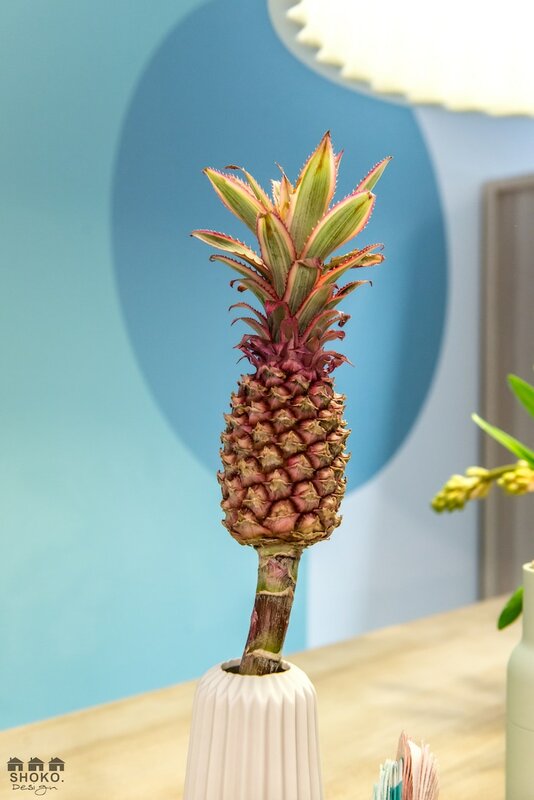 WE SO MUCH THANK THE WONDERFUL GIRLS FROM WOOD'N'WOOL, AHOJHOME, MALGOSIA CEGLA FOR ALL THE BEAUTIFUL DECORATIONS, THAT ADDED A GREAT SHINE TO THE WHOLE INTERIOR. 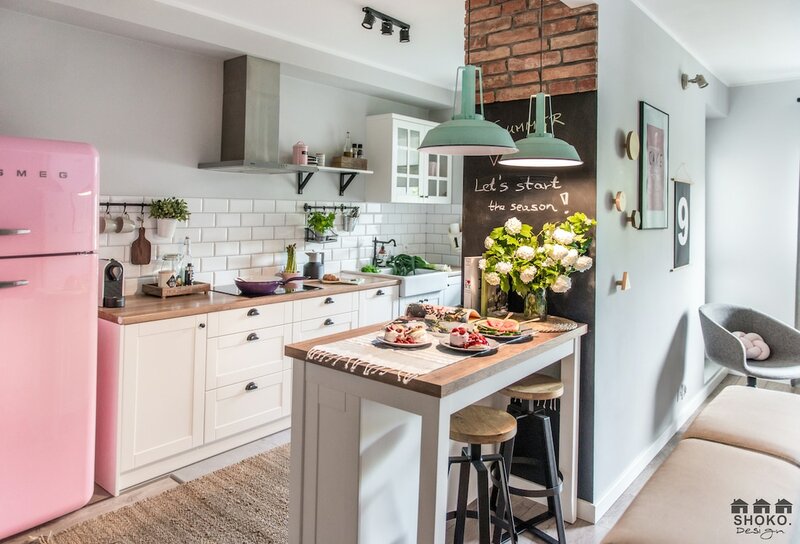 THE KITCHEN AREA IS ALSO FULL OF MYSTERIES AND SURPRISES - YOU WILL FIND A PINK SMEG, CLASSICAL CONNECTION OF WHITE FRONTS, AND WOODEN COUNTERTOPS. 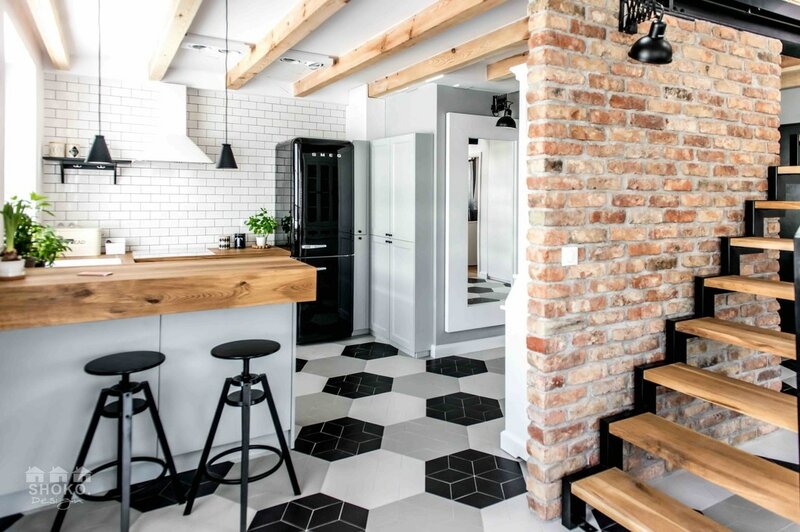 OUR BELOVED SUBWAY TILES SHED A UNIQUE CHARM. 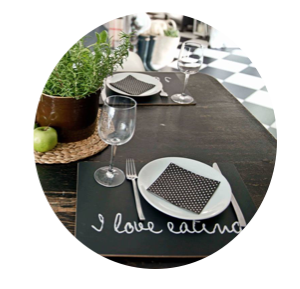 THE OWNERS OF THE APARTMENT KAROLINA AND BLAZEJ LOVE TO SPEND THEIR TIME IN THE KITCHEN - FOR US THESE WORDS OF APPRECIATION ARE THE GREATEST MOTIVATION FOR US IN THE INTERIOR DESIGN PROFESSION. 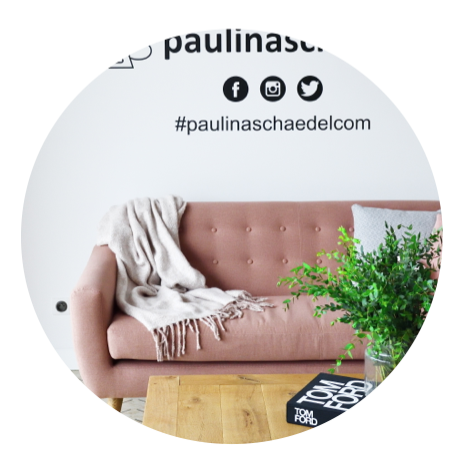 THE BOUTIQUE FOR PAULINA SCHEADEL IS ONE OF THE MOST FEMININE INTERIORS WE HAVE EVER DESIGNED. WE ARE INSPIRED BY CHARISMATIC AND AMBITIOUS WOMEN AND THAT IS WHY WE DEDICATE TO DEDICATE THIS INTERIOR TO THESE TYPE OF WOMEN. PAULINA THE BOUTIQUE OWNER IS A PERSON OF AN AMAZING TALENT AND BEAUTIFUL HEART - THE WORK WITH HER WAS A GREAT PLEASURE! 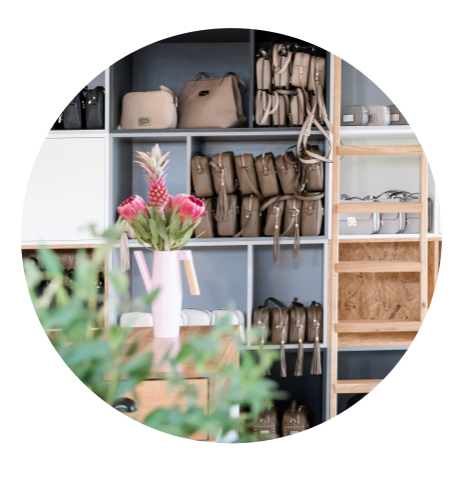 THE INTERIOR OF THE BOUTIQUE IS VERY SIMPLE, AS WE DECIDED TO CREATE A NEUTRAL BASE FOR THE PRESENTATION OF THE PRODUCTS THAT PAULINA HAS IN HER OFFER. WE HAVE USED RESIN ON THE FLOOR OF THE SHOWROOMS MAIN SECTION. 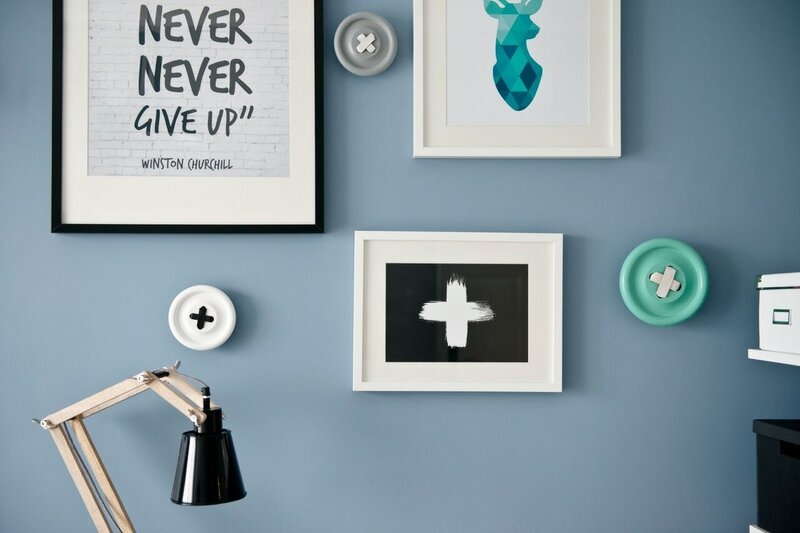 THE WALLS HAVE BEEN DECORATED IN OUR FAVORITE SHADES OF GRAY. THARE ARE MOLDINGS ON ONE OF THE WALLS AND THE OTHER IS MADE OF BRICK REUSED FROM AN OLD BUILDING. THE ONE SPOT, WHERE WE DECIDED TO LET OUR IMAGINATION FLOW IS THE BOUTIQUES ENTRANCE. 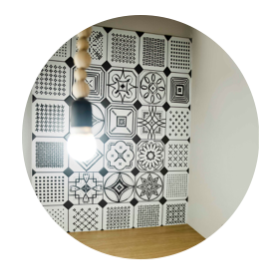 THERE WE HAVE USED TILES IMITATING A PLATE IN GEOMETRICAL PATTERNS. WE HAVE DIVIDED THE SHOWROOM WITH AN INDUSTRIAL STYLE WALL INTO TWO AREAS. THE SECTION AT THE ENTRANCE, IS A PLACE WHERE PAULINA SITS AT CUP OF COFFEE WITH HER CLIENTS OR SHOWROOM GUESTS. THE SECTION BEHING THE INDUSTRIAL GLASS WALL IS A PLACE, WHERE THE WHOLE INTERNET SALE TAKES PLACE. BAGS ARE WRAPED HERE, THERE IS ALSO A HUGE SHELF THAT COVERS THE WHOLE WALL. IT HAS BEEN DESIGNED BY US FOR PAULINA, AS A PLACE FOR HER BAGS. 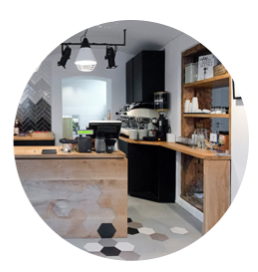 THE PACKAGE PACKING AREA AND THE COUNTER FOR WALLETS HAVE BEEN ALSO DESIGNED BY SHOKO :) WALKING THROUGH THE MAIN PART OF THE SHOWROOM, WE REACH THE KITCHEN, WHERE PAULINA'S COWORKERS CAN REST AND DRINK SOME COFFEE. 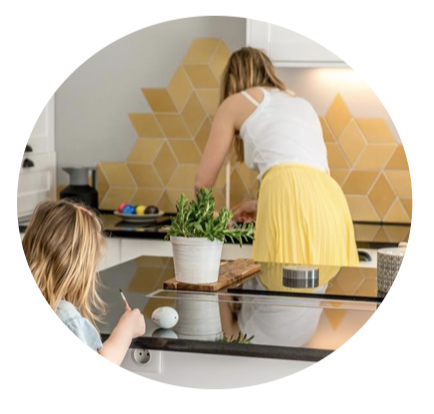 THE KITCHEN IS SHARED WITH ADA NAWROCKA FROM @AHOJHOME - YOU HAVE TO SEE THE BEAUTIFUL THINGS SHE HAS IN HER SALES OFFER! :) THE PHOTOSHOOT DAY IN THE COMPANY OF SUCH INSPIRING WOMEN WAS A REAL PLEASURE FOR OUR WHOLE TEAM! 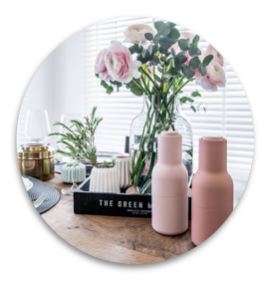 THE OWNER OF THE APARTMENT IS A POLISH INTERIOR BLOGGER. 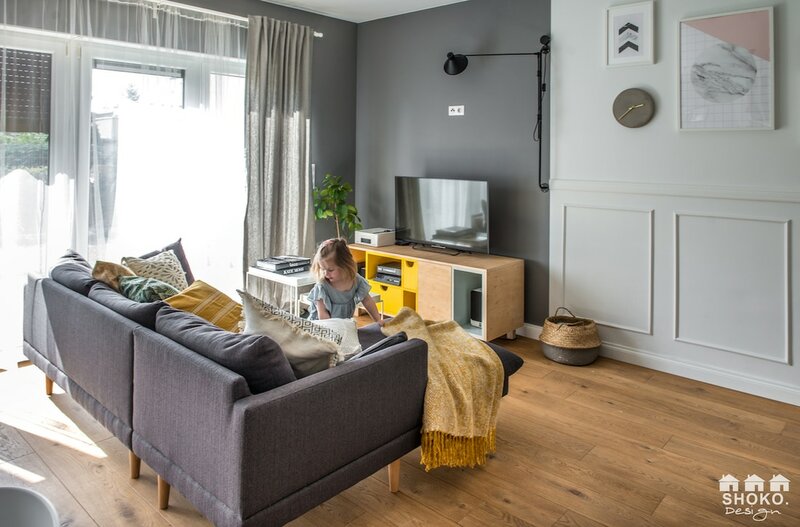 OUR TASK WAS TO DESIGN THE ENTIRE SPACE: THE KIDS ROOM, BEDROOM AND THE WHOLE LIVING AREA - LIVING ROOM AND THE DINING ROOM. 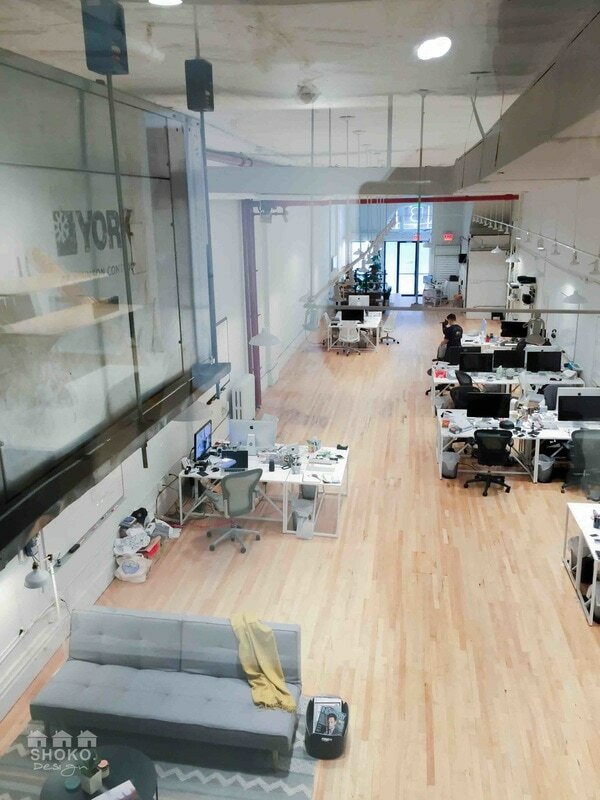 OUR IDEA FOR THE SPACE WAS TO OPEN IT AS MUCH AS POSSIBLE AND TO VISUALLY ENLARGE IT. WE REMOVED THE DRYWALL CONSTRUCTIONS UNDER THE STAIRS AND ONE ATTACHED TO THE FIREPLACE. 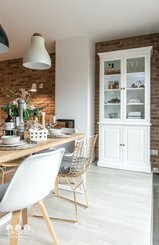 IN THEIR PLACE WE HAVE FITTED A BEAUTIFUL CONSOLE AND NEXT TO THE FIREPLACE A WHITE RUSTIC DRESSER, WE USED BRIGHT COLORS ON THE WALLS AND BRIGHT SHADED FLOOR PLANKS. 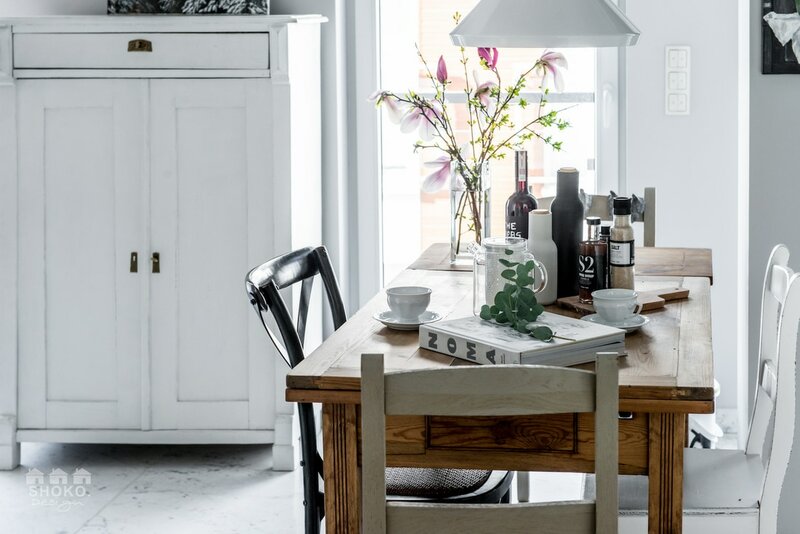 WE PICKED WHITE RUSTIC FURNITURE AND A LOT OF NICE PENDANT LAMPS AND SCONES TO WARM UP THE SPACE. 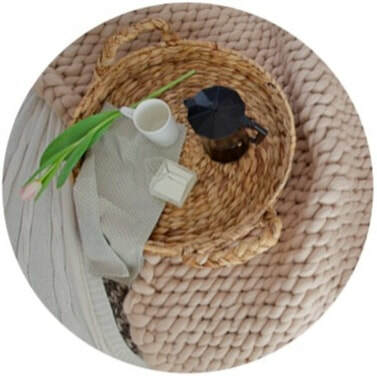 ADDITIONALLY WE HAVE USED TYPICAL SCANDINAVIAN DECORATIONS- COSY WOOLEN BLANKETS A LOT OF BASKETS MADE FROM SEA GRASS AND COSY TEXTILES. IN ORDER TO SPICE UP THE SPACE WE HAVE USED A FEW GOLD ELEMENTS - GOLD WIRE CHAIRS, A GOLD LAMP OVER THE COFFEE TABLE AND OTHER ACCENTS IN GOLD COLOR. 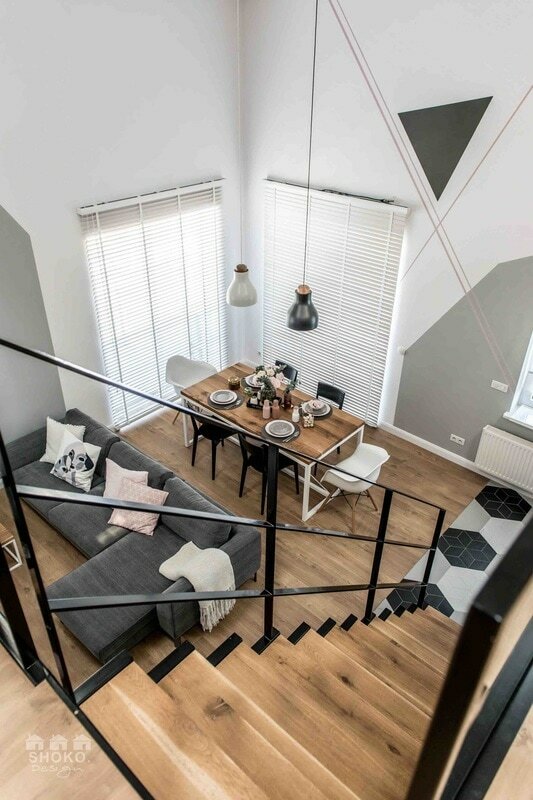 CHARACTERISTIC FOR THIS INTERIOR, SUCH AS BEAUTIFUL HERRINGBONE PLANKS AND UNIQUE STAIRS. 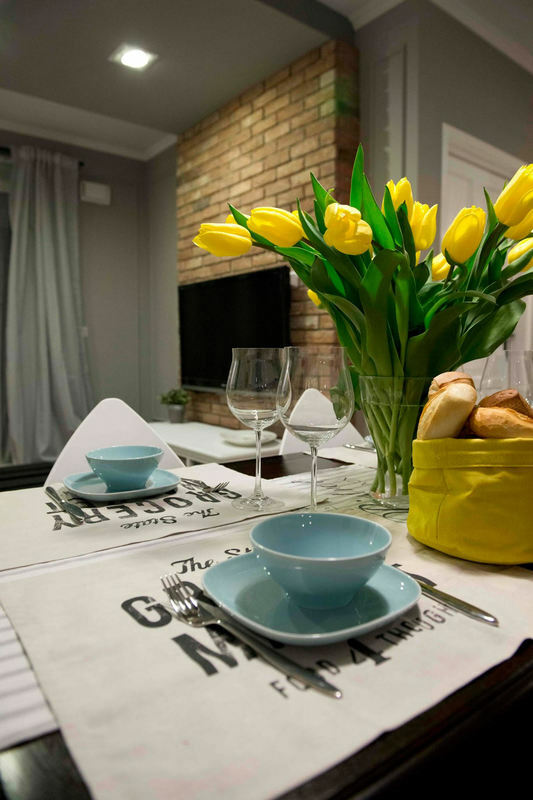 WE DID NOT CHANGE MUCH ABOUT THE FUNCTIONAL LAYOUT OF THE HOUSE AND WE MORE FOCUSED TO BUILD UP A COZY FAMILY ATMOSPHERE IN A NEW A BIT REFRESHED FORM. 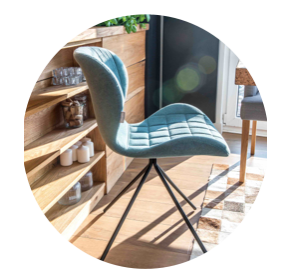 WE HAVE CHOSEN MANY OF THE SCANDINAVIAN DESIGN ICONS SUCH AS MUUTO LAMP - UNDER THE BEL, COVER CHAIRS OR NORTHERN LIGHTNING LAMPS. THE WHOLE INTERIOR WAS WARMED WITH BEAUTIFUL TEXTILES FROM SPACE AND MORE AND WOOD'N'WOOL. 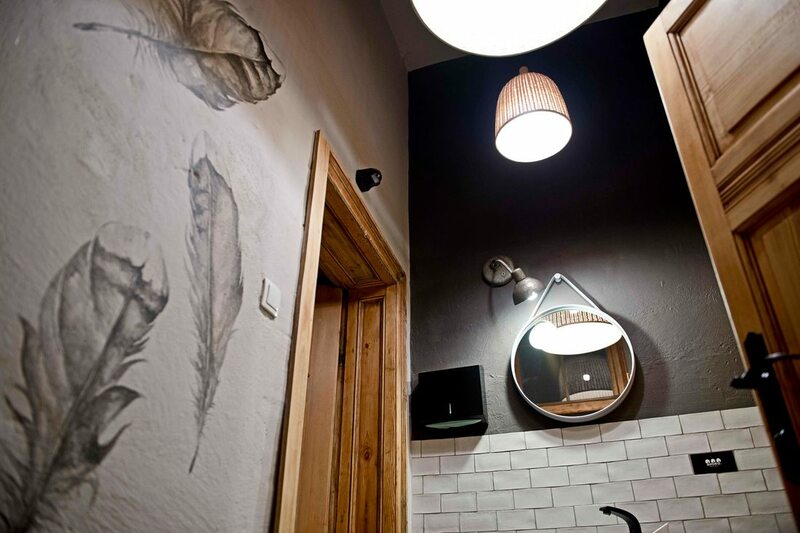 THE BATHROOM WAS DESIGNED IN THE COMMERCIAL SPACE, IN A VERY PLEASANT CAFE IN THE CENTER OF POZNAN (POLAND). THE INTERIOR OF THE BATHROOM REFLECTS THE NAME OF THE CAFETERIA. 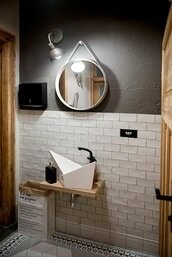 THE WHITE SINK RESEMBLES AN OPEN BRID'S BEAK OR A SWAN. THE FEATHERS HAND PAINTED ON THE WALL GIVE THE IMPRESSION THAT THE BIRD FLEW THROUGH THE SPACE A MINUTE AGO AND LEFT IT'S TRACE. 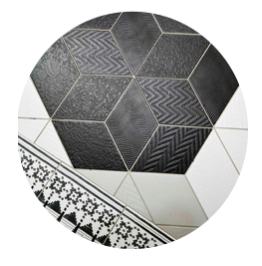 MAIN MOTIVES ARE A MIXTURE OF DIFFERENT GEOMETRIC PATTERNS FROM HEXAGONAL FLOOR, RHOMBUS-SHAPED TILES TO SMALL RECTANGLES, SUBWAY-LIKE TILES AND UNIQUE DECORATED PATTERNS ON THE WALL. 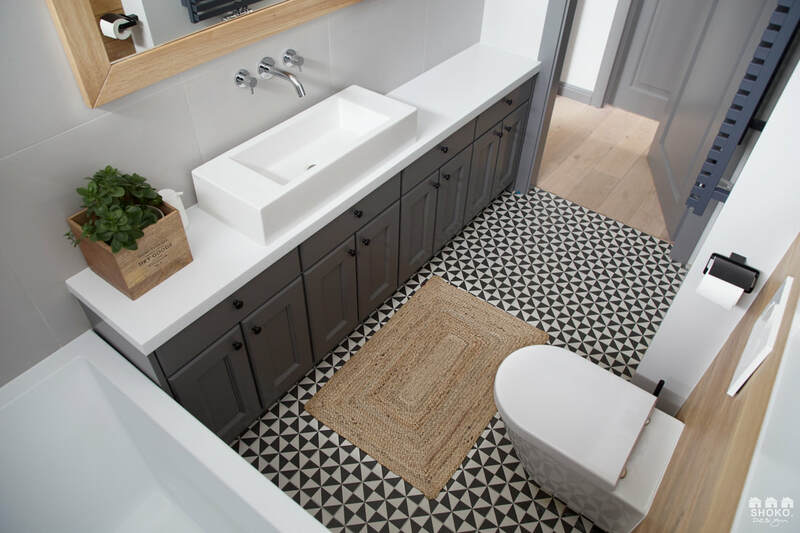 THE WARM COLOR OF THE WOODEN DOORS AND WOODEN SHELF UNDERNEATH THE SINK CONTRASTS WITH THE BLACK AND WHITE FLOOR AND WALLS. 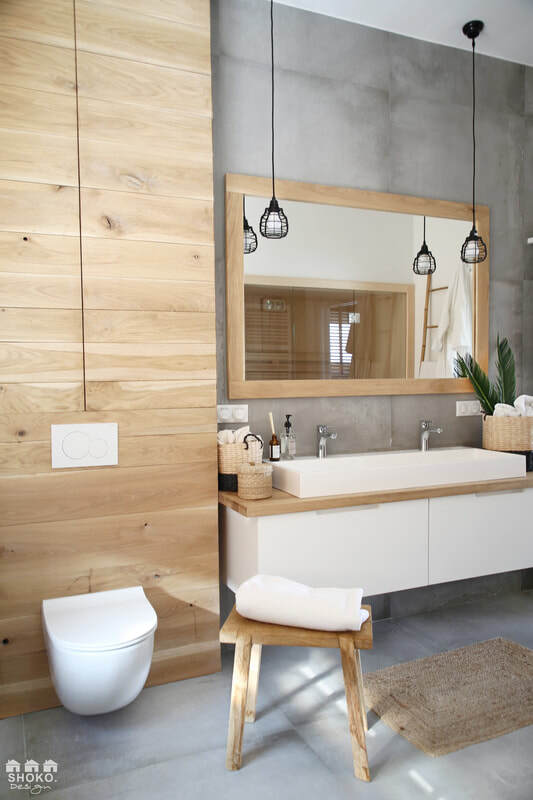 AS A RESULT THE BATHROOM CONSTITUES A MODERN DESIGN INSPIRED BY NORDIC INTERIORS AND WITH A RUSTIC TOUCH. 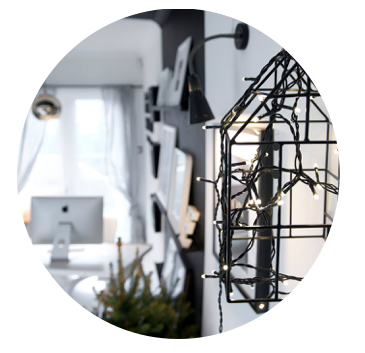 THE CLASSIC COMBINATION OF BLACK AND WHITE INTRODUCES QUITE ELEGANT MOOD AND THANKS TO THE ACCESSORIES, THE OFFICE BECOMES SPONTANEOUS AND JOYFUL. 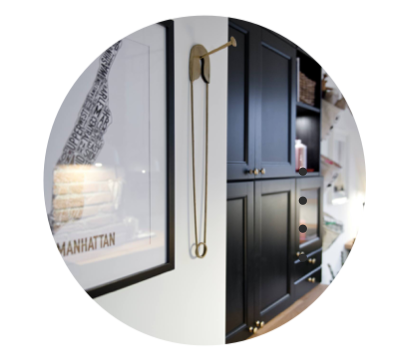 THE ACCESORIES DIVERSIFY THE SPACE, DECORATE AND INTRIGUE, BUT ALL TOGETHER THEY FORM A TRULY UNIQUE SPACE WHERE IT IS NOT POSSIBLE TO GET BORED. ORIGINAL SHADES OF LIGHT, BRICK WALL, LIGHT DECORATIONS INCLUDING THE STILL FASHIONABLE AND LOVELY GARLAND. 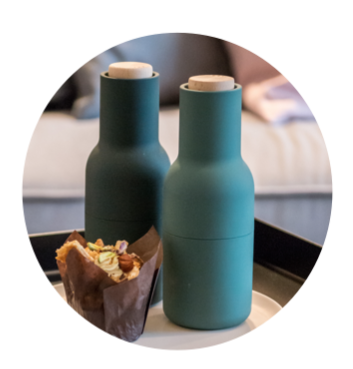 THESE AND MANY OTHER ITEMS SELECTED IN A THOUGHTFUL WAY CREATE AN ARTISTIC SPACE IN ACCORDANCE WITH RELISH AND TEMPERAMENT OF ITS OWNER - THE SHOKO TEAM. 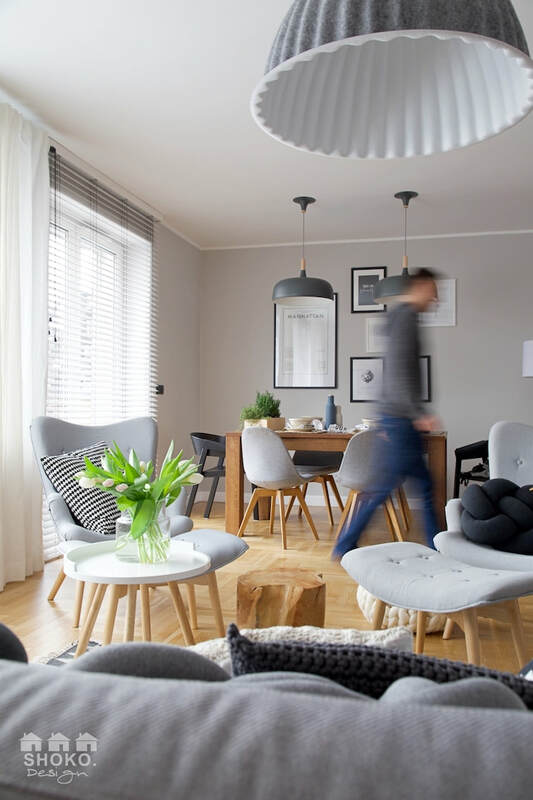 THE INTERIOR IS A FUSION OF AN OFFICE AND HOME SPACE. 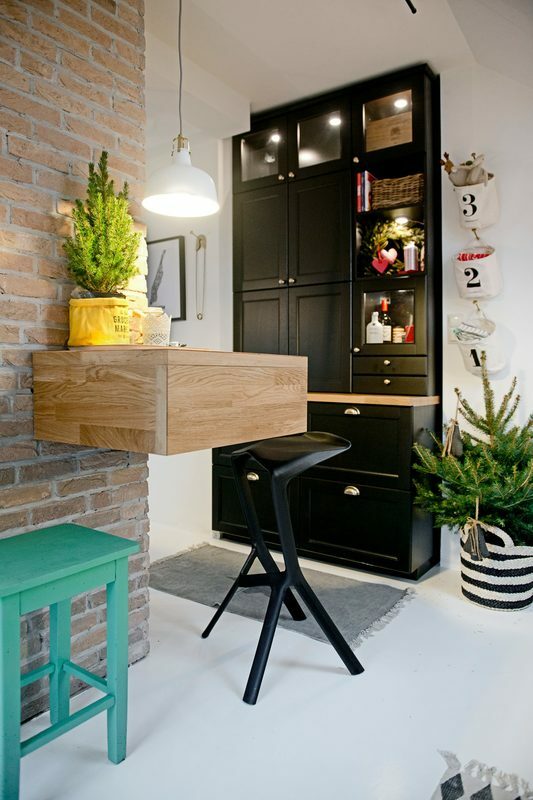 THE IDEA BEHIND THE DESIGN WAS TO CREATE A COZY HOME AREA THAT SEAMLESSLY TRANSFORMS INTO AN OFFICE AREA. 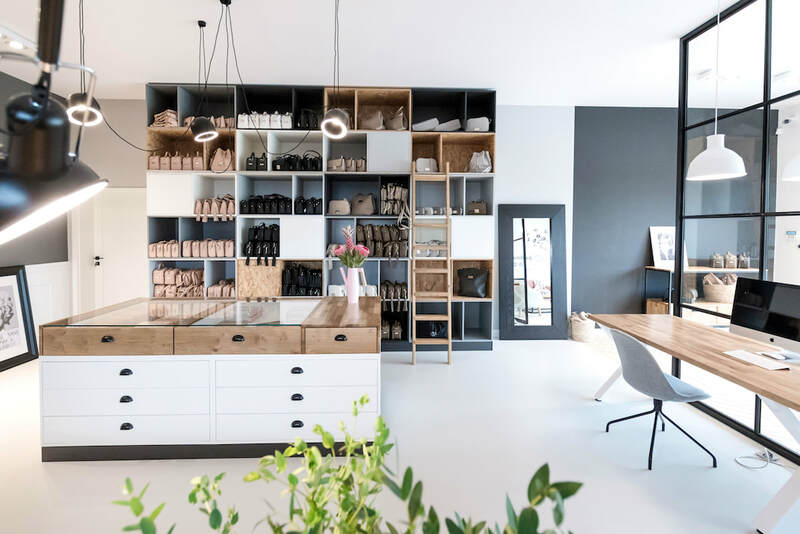 THE KITCHEN DUPLICATES THE CONCEPT OF BLACK AND WHITE CONTRAST AND MAKES THE WHOLE INTERIOR CONSISTENT. 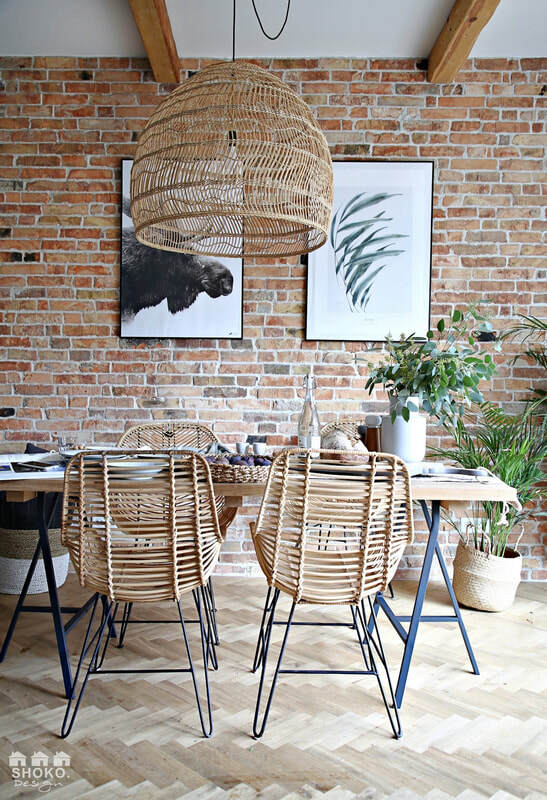 WOODEN FURNITURE AND WICKER ADDITIONS PLEASANTLY WARM UP THE WHOLE INTERIOR. 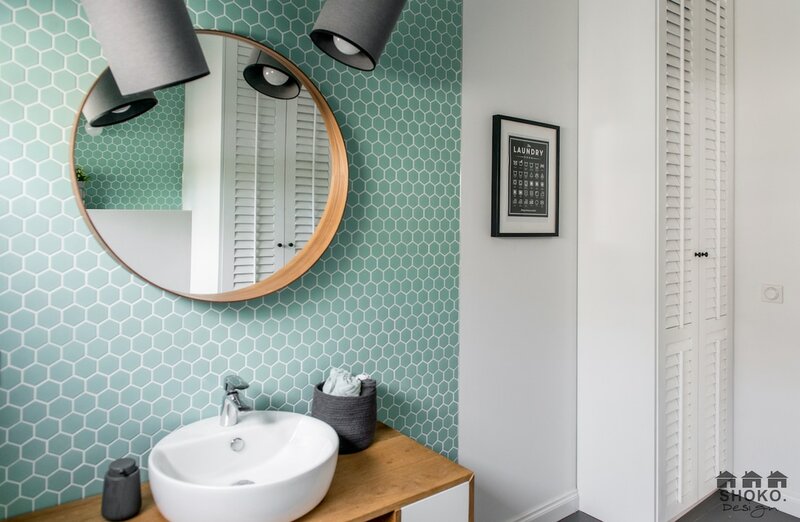 PASTEL DOTS IS AN INTERIOR DESIGN THAT HAS ITS ORIGINS IN THE SCANDINAVIAN 1960'S. 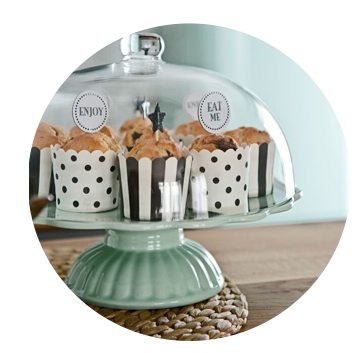 MANY ELEMENTS OF THE PROJECT CAN BE FOUND IN RETRO ACCENTS. 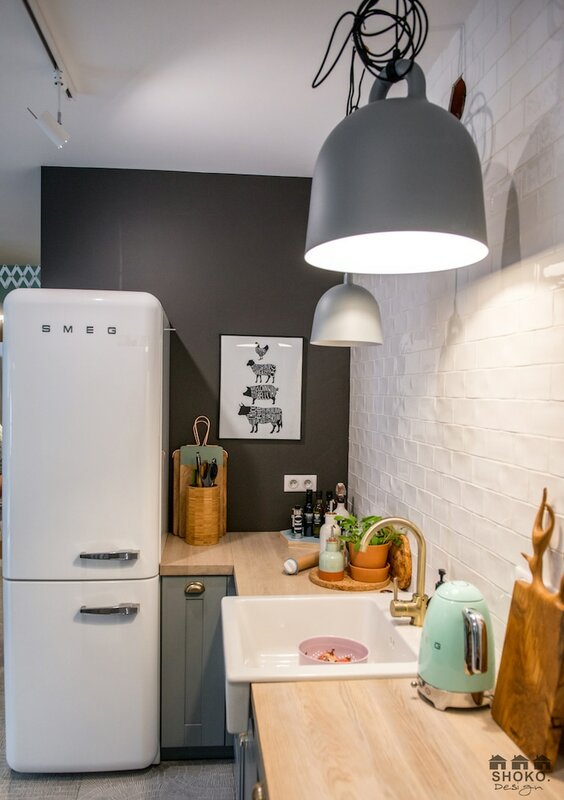 IN THE KITCHEN CENTER YOU CAN FIND A SMEG REFRIGERATOR - WHICH IS CALLED THE QUEEN OF RETRO REFRIGERATORS. INSTEAD OF THE CLASSIC DINING TABLE, WE OFFERED AN ISLAND THAT NOT ONLY HAS A LOT OF STORAGE SPACE BUT ALSO SERVES AS A TABLE WITH AVAILABLE EXTENSIONS THAT ARE EASY TO MOUNT IN TO THE ISLAND TO ACCOMMODATE LARGER GROUP OF GUESTS. 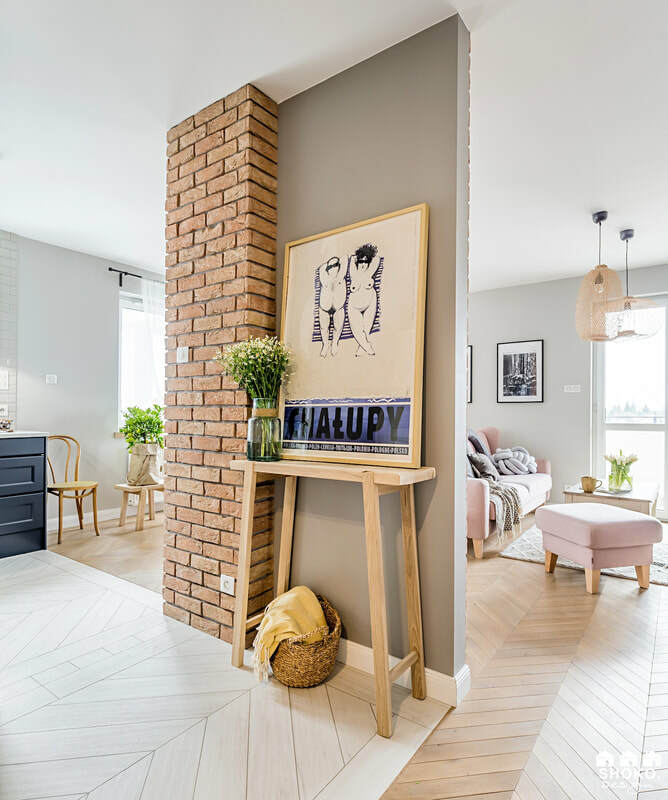 KITCHEN COMBINED WITH LIVING ROOM IS DESIGNED WITH AN EMPHASIS ON WARM PASTEL COLORED ACCENTS LIKE RUBBER MUUTO LAMPS, COFFEE TABLES, BAR STOOLS WITH CHARACTERISTIC 1960’S RETRO LEGS. 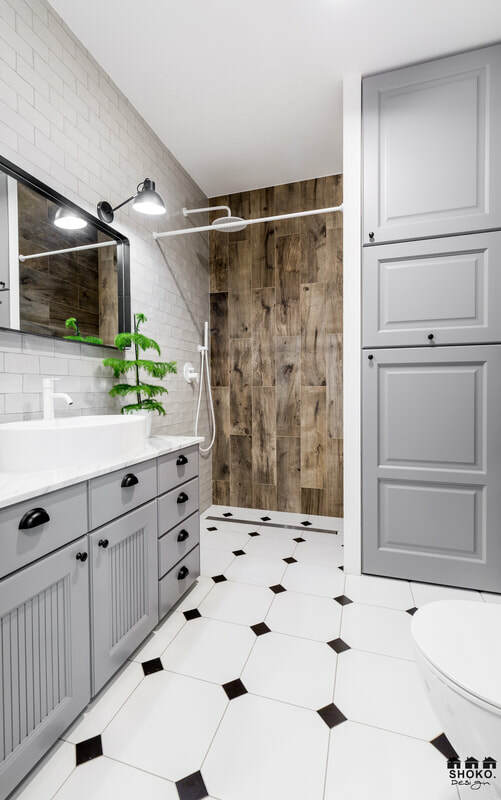 SUBWAY TILES AND FLOOR TILES FLOWING THROUGH THE BATHROOM AND SHOWER WITH LINEAR DRAINAGE SYSTEM CREATE A CLEAN, RETRO AND MODERN AREA. 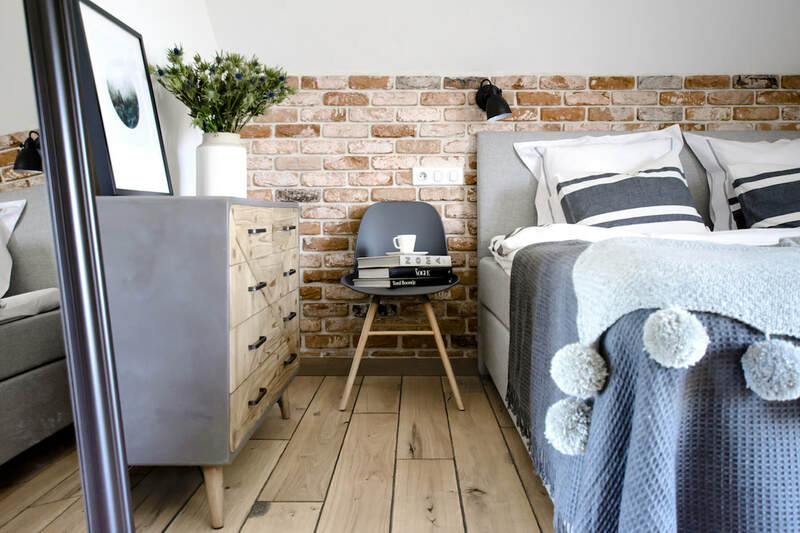 RECLAIMED WOOD ACCENT WALL IN BEDROOM WORKS PERFECTLY WITH RETRO HEADBOARD WITH AMPLE AMOUNT OF STORAGE FOR BOOKS FINISHED WITH INDUSTRIAL STYLE NIGHT LAMPS. 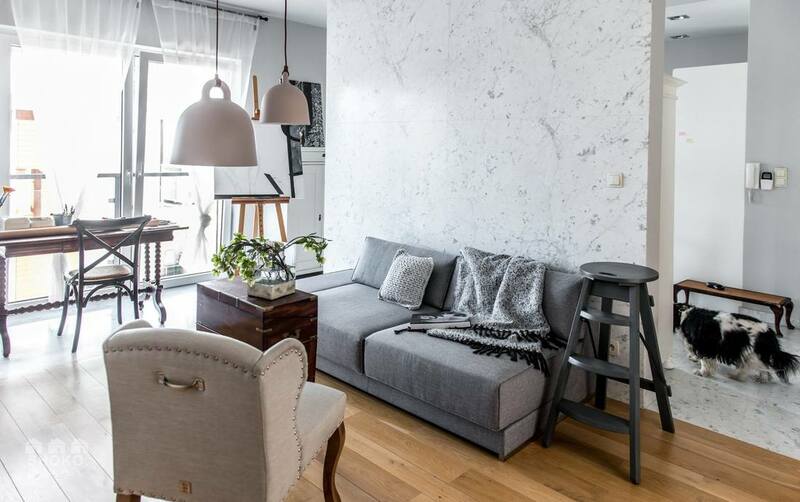 THE ANTIQUES AND MARBLE COMBINED TOGETHER IN THIS UNIQUE INTERIOR WITH A HINT OF SCANDINAVIAN STYLE MAKE THE INTERIOR COLD BUT YET COSY. YOU WILL FIND AN INNOVATIVE HEATING SOLUTION ALLOWING REMOVAL OF ALL WALL HEATING UNITS. 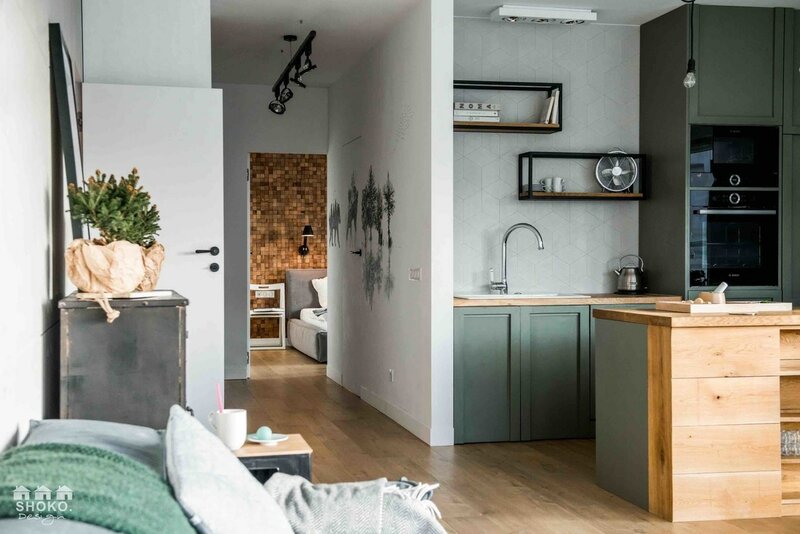 THE MAIN HEATING SYSTEM IS HIDDEN UNDER THE LAYER OF MARBLE BETWEEN THE LIVING AREA AND THE KITCHEN ALLOWING RADIATION OF HEAT SPREAD THROUGHOUT THE WHOLE APARTMENT. 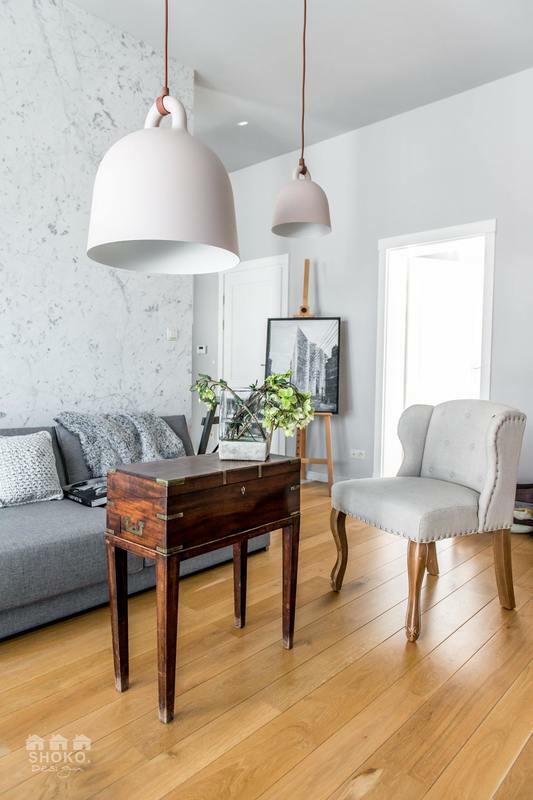 WOOD FLOORS WITH NEUTRAL CONTEMPORARY LIGHT FIXTURES COMPLEMENT THE REST OF THE APARTMENT. 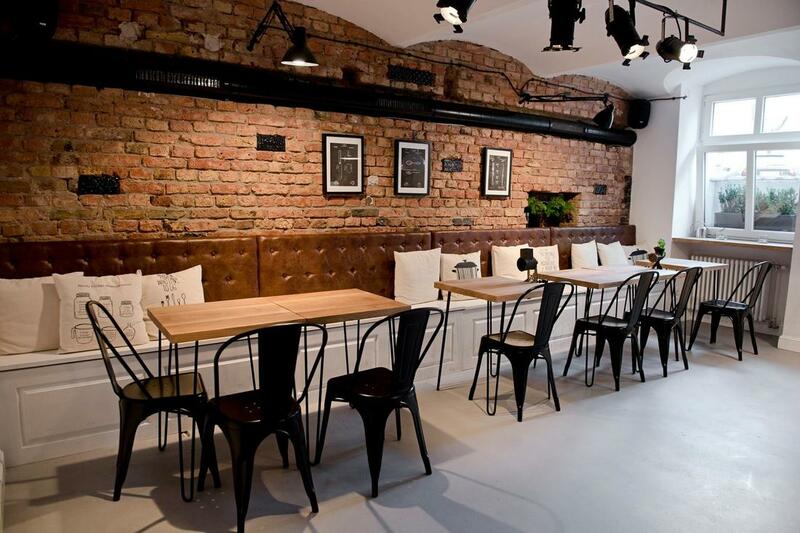 THIS CLASSIC INTERIOR WAS MADE FOR A GREAT CREATOR AND ART LOVER AND IT’S LOCATED IN THE NORTH OF POZNAN. 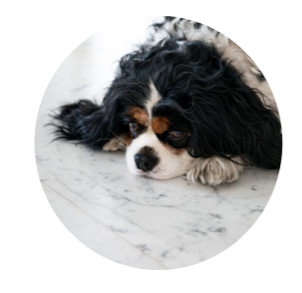 THE NATURAL MARBLE ON THE KITCHEN FLOOR WAS IMPORTED DIRECTLY FROM ITALY. 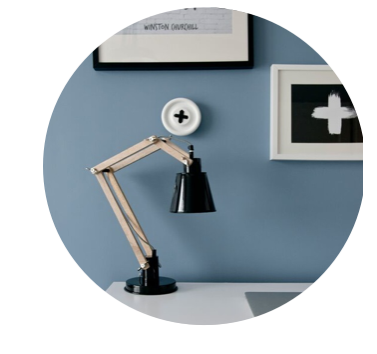 TO MAKE THE SPACE MORE MODERN, WE HAVE USED OUR FAVOURTIE NORMANN COPENHAGEN LAMPS - THE BELLS. THE FORM OF THESE LAMPS IS BOTH TIMELESS AND MINIMALISTIC. 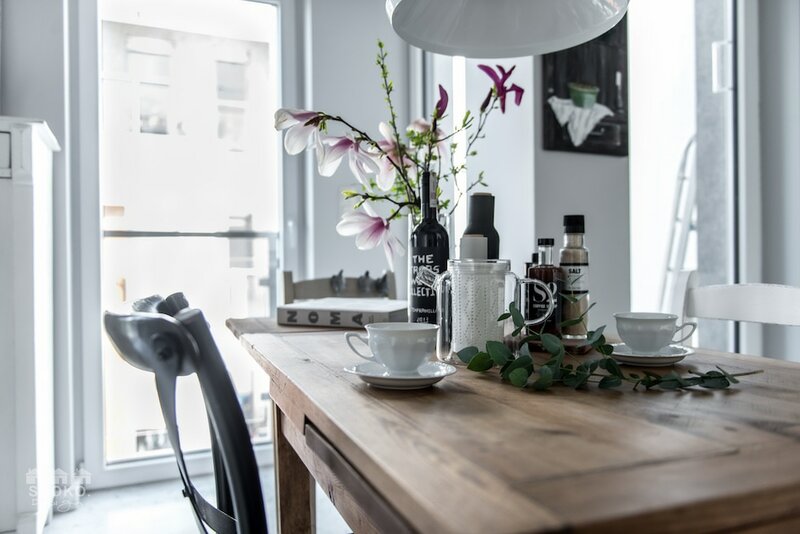 THE HEART OF THE APARTMENT IS A BLACK TABLE WHICH WAS DESIGNED BY SHOKO AND MADE BY OUR CARPENTER. 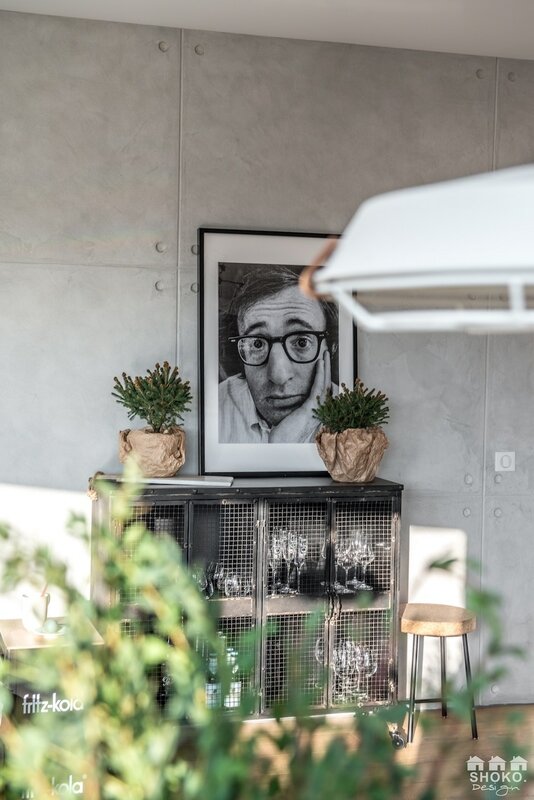 OUR FAVORITE LAMP WITH WOOD ACCENTS (MADE BY FRANDESEN) HANGS OVER THE BAR AND THIS IS AREA WHERE THE COUPLE CAN SPEND TIME AND TALK ABOUT THE MENUE FOR NEXT ROMANTIC DINNER. 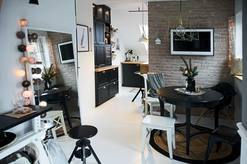 IN HEART OF THE APARTMENT WE PLACED A STABLE DESIGNED BY SHOKO DESIGN. HOLE TO ANOTHER UNIVERSE MEANS A HOLE TO TOTALLY DIFFERENT WORLD IN WHICH ONE CAN JUMP TO ESCAPE FROM PROBLEMS OF EVERYDAY LIFE. 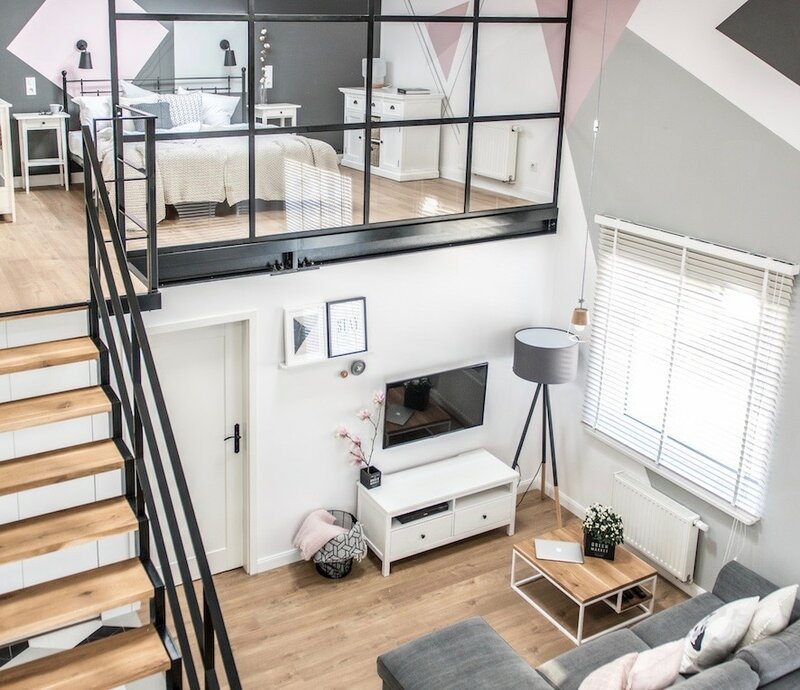 THE APARTMENT WAS DESIGNED FOR A COUPLE JUST AFTER THEIR WEDDING. 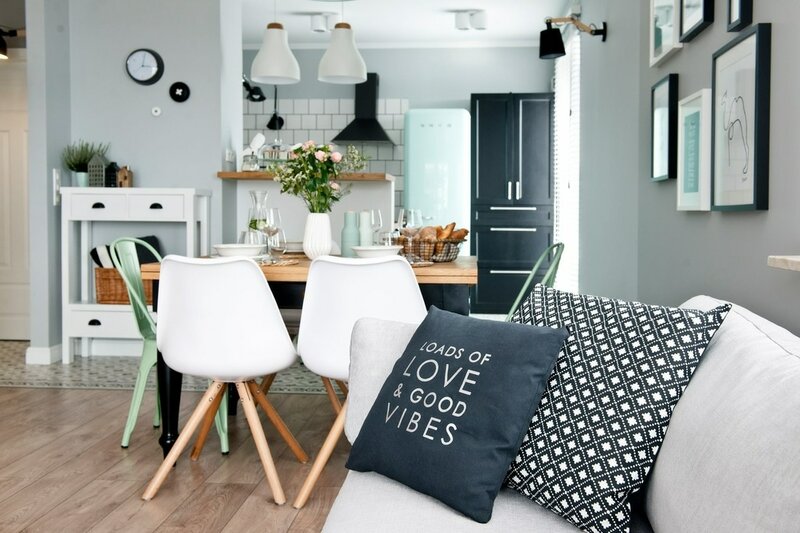 OWNERS OF THIS INTERIOR ARE HUGE FANS OF TRAVELING AND SEARCHING FOR VARIOUS ITEMS AT THE FAIR, AND THEN PROCESSING THEM TO THE STYLE THAT SUITS THEM. THEY LOVE TO RENOVATE OLD FURNITURE AND DECORATIONS. IT WAS A GREAT PLEASURE TO WORK WITH SUCH A CREATIVE COUPLE. THEIR BEDROOM HAD TO BE UNIQUE, BECAUSE OF THEIR ARTISTIC SOUL. WE PREPARED A PATTERN OF STRIPES GOING FROM THE WALL TO THE CEILING. 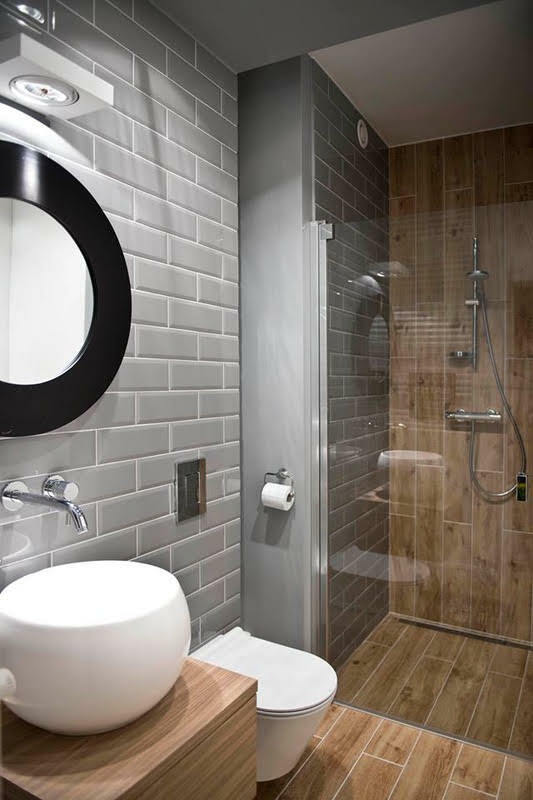 THEIR BATHROOM IS A COMBINATION OF THE NORDIC FEELING AND AT THE SAME TIME COSY SPACE. WE HIDE THE WASHING AND DRYER IN THE BUILD-IN CLOSET. THE SPACE WAS DEISGNED TO BE AN HOLIDAY HOUSE FOR A FAMILY WHO LOVES TO ESCAPE FROM THE CITY EVERY WEEKEND. THE STYLE PRESENTED IN THE INTERIOR HAS A LOT SCNADINAVIAN INFLUENCES, BUT MIXED WITH CLASSIC AND ELEGANT NEW ENGLAND STYLE. 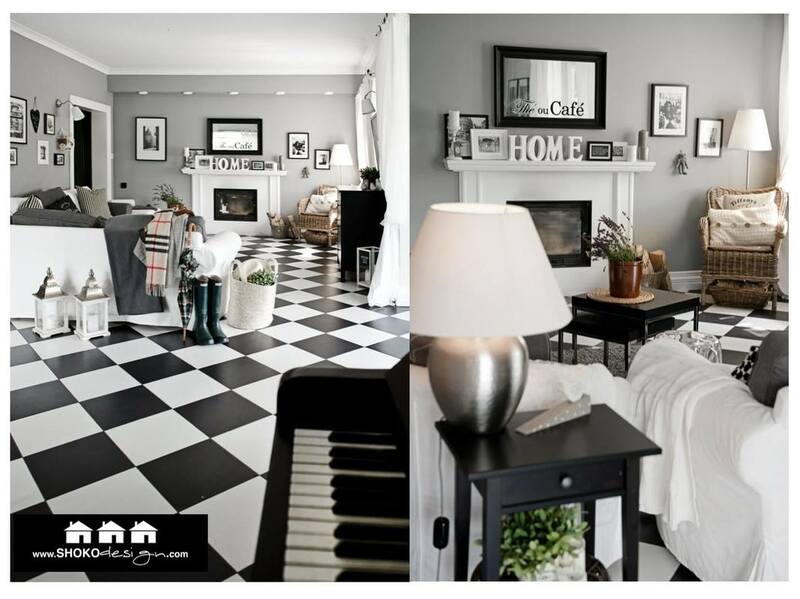 IN THE HEART OF THE LIVING ROOM THERE IS A PIANO. THE FAMILY MEMBERS PLAY IN THE EVENINGS AND ALWAYS SING CAROLS DURING CHRISTMAS TIME. THE CENTRALLY LOCATED FIREPLACE IS THE FAVOURITE SPOT OF THE INHABITANTS. 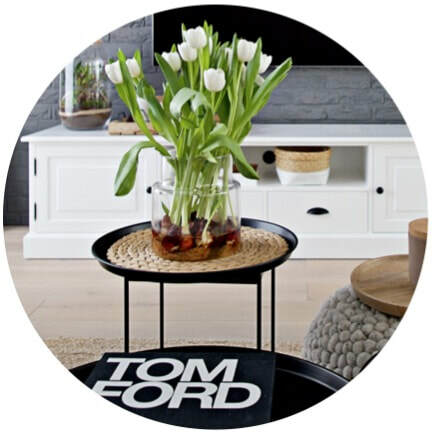 THE BEST ELEMENT IN THE HOUSE IS A TABLE FROM THE EARLY XIX CENTURY WHICH WE FOUND ON A FLEA MARKET. 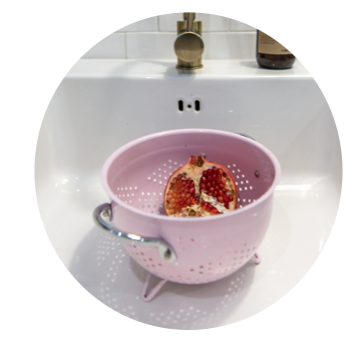 IT IS USED DAILY BY 5 PEOPLE, BUT CAN BE UNFOLDED TO ACCOMMODATE UP TO 24 GUESTS THAT WAY IT WAS THE BEST POSSIBLE PURCHASE FOR THE HUGE FAMILY. HOME IS SURROUNDED BY BEAUTIFUL FORESTS AND NATURE. THERE IS ALSO A SMALL ORGANIC VEGETABLE FIELD AND A HUGE HERBARIUM. IN THE EARLY MORNING YOU CAN NOTICE RABBITS, DEER AND CRANE BIRDS IN THE GARDEN.